A WHITE-TAILED SEA EAGLE that was released at Killarney National Park in 2009 roosted overnight at Cahercon, Kildysert before heading south the next day towards County Limerick. One Hen Harrier and five Little Egrets were near the Falls, Ennistymon. A small flock of 40 Whooper Swans were at Ballygireen, Newmarket-on-Fergus. 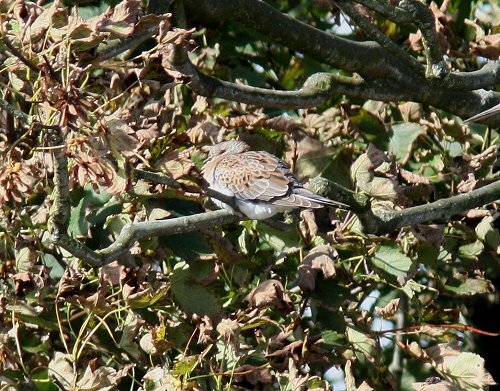 A flock of 60 Collared Doves were under the beach trees at St. Flannan’s College, Ennis. 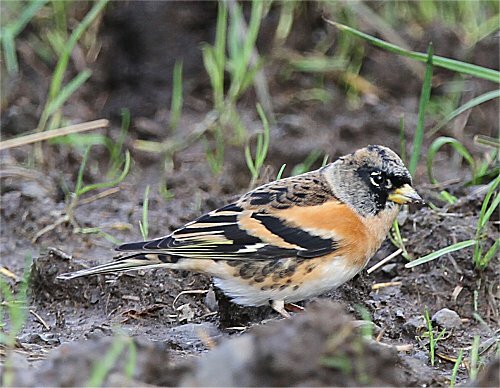 Three Bramblings were at St.Flannan’s College, Ennis. 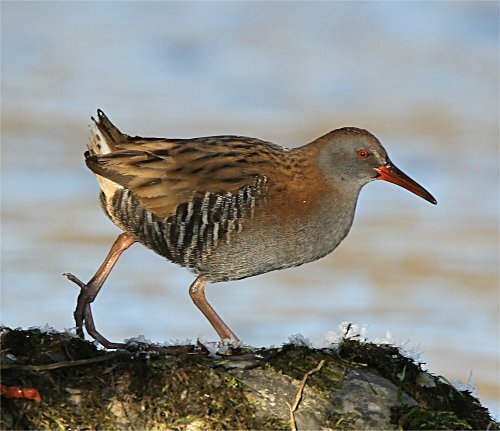 three Water Rails were calling at Ballycar Lough. One male Velvet Scoter was at Lahinch today (Geoff Pearson). One Black Redstart and one Peregrine were at Cregg Beach, Lahinch. 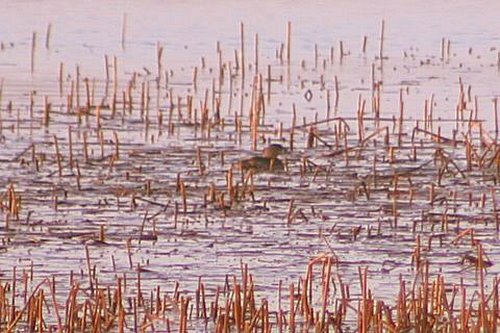 One Green Sandpiper was in a flooded Field near Toonagh. Also at Lahinch were 18 Common Scoter, four Red-throated Divers and five Great Northern Divers. A flock of 60 Gadwall were at Lough Inchiquin. There were 35 Greylag Geese and three Water Rails at Ballycar Lake, Newmarket-on-Fergus. A WHITE-TAILED SEA EAGLE was seen flying high over Doora, Ennis (Garry Baron). One immature/female Garganey was at Killimer. At Ardclooney today there were 240 Tufted Ducks, 30 Pochard and nine Whooper Swans. Two Crossbills were at Cragganowen. 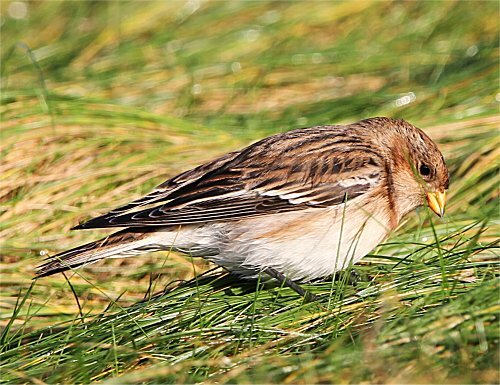 Four Snow Buntings were at Tralagaun, North Clare. 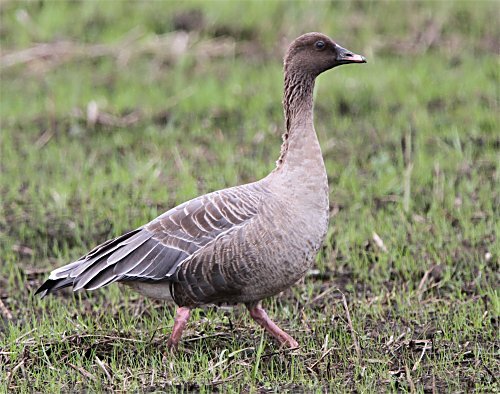 Four Greylag Geese and two Water Rails were at Ballycar Lake, Newmarket-on-Fergus. A flock of 30 Whooper Swans were between Mount Shannon and Scarriff. One Green Sandpiper, 85 Teal and two Ravens were on a Flooded field near Toonagh. Three Jays were at Ballygriffey Wood. A flock of 60 Whooper Swans were at Lough Cullaun, the Burren. There were 45 Gadwall at Lough Inchiquin. One Dipper and one Chiffchaff were at the Falls, Ennistymon. 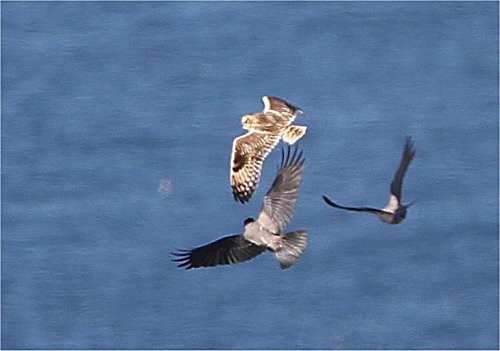 A WHITE-TAILED SEA EAGLE was seen being harrased by four Hooded Crows near Moy, Lahinch (PJ Donnelly). 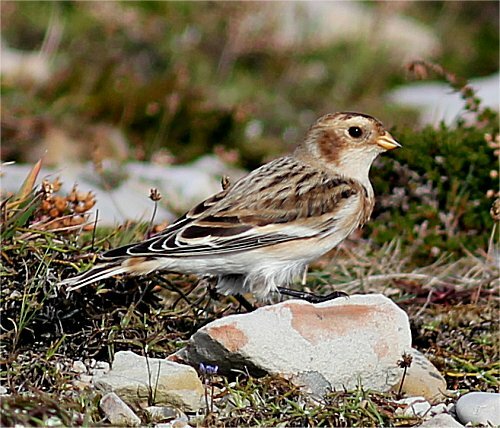 Two Snow Buntings were at Baltard Bay, Doonbeg. One Green Sandpiper and a flock of 95 Teal were in a flash flooded field near Toonagh Quarry on the Corofin Road. A flock of 25 White-fronted Geese were at Lough Muchanagh. One very late Swallow and a Jack Snipe were at Boolyneaska east Clare. 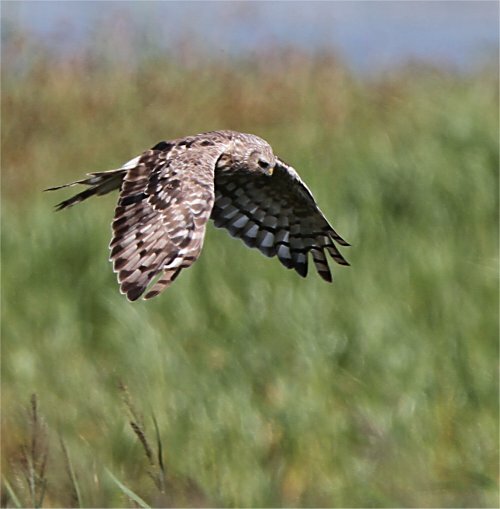 One Hen Harrier was seen on the road between Doolin and the Cliffs of Moher. Five Woodcock were on the East Clare Way at Lough Graney. Two Jays were at Ballygriffey Wood. Nine Whooper Swans were at Doo Lough. Twenty six Whooper Swans were at Ballyallia Lake along with 62 Black-tailed Godwit. Six Gadwall were at the back end of the lake. Five Jay and a Raven were in the wood nearby. 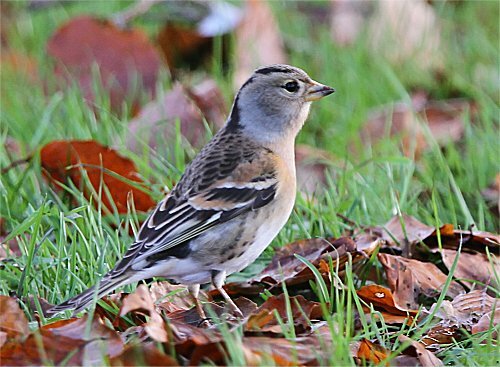 Sixteen Brambling were at St. Flannan’s College Ennis. The drake Green-winged Teal was at Bell Harbour (Jeff Copner), along with one Ring-billed Gull, 200 Teal and 18 Shellduck. Between the Flaggy Shore and New Quay there were eight Black-throated Divers, 50 Great Northern Divers, two Long-tailed Ducks 16 Brent Geese and one Peregrine. One adult Ring-billed Gull was at Lahinch Marsh with over 300 Golden Plover, 200 Lapwing and 60 Dunlin. One Merlin was at Seafield Quilty, along with 200 Dunlin, 25 Purple Sandpipers, 120 Turnstone, four Great Northern Divers and one Red-throated Diver. 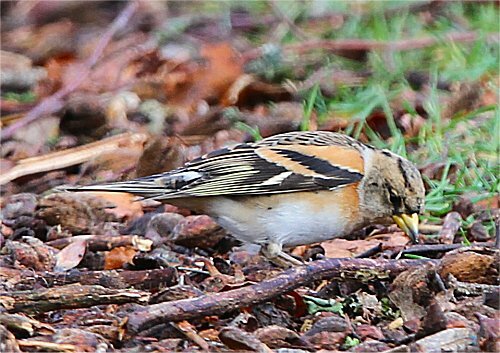 Six Brambling were at St. Flannans College, Ennis. One Jay was near Inch. One Black-throated Diver, 35 Great Northern Divers and five Long-tailed Ducks were at Finvarra Point. There were 12 Long-tailed Ducks and 30 Great Northern Divers off the Flaggy Shore. One Grey Phalarope was off Lisscannor Pier. 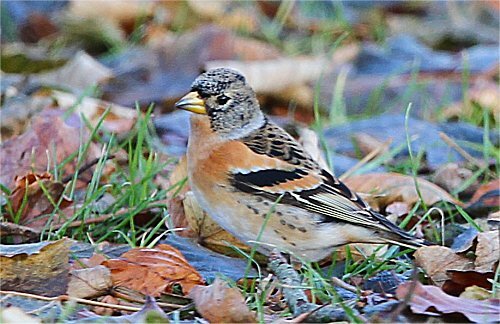 Ten Bramblings were at St. Flannans College, Ennis. One Peregrine, 500 Lapwings, ten Black-tailed Godwits, nine Whooper Swans and 11 Dunlin were at Lough Atedaun. There were 59 Whooper Swans, 200 Lapwing and 30 Curlew at Lough O’Grady. A flock of 100 Whooper Swans were at Kells Lough, the Burren. One Merlin and six Goldeneye were at Lough Cullaun. Four Woodcock were at Clifden Hill, Corofin. 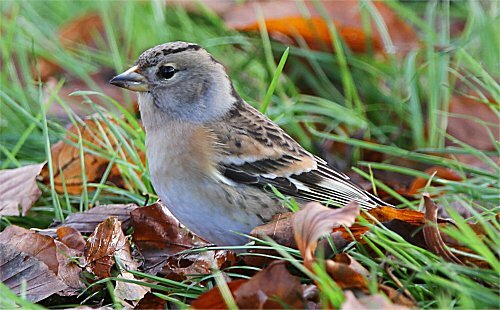 Five Bramblings were under the beech trees on the grounds of St.Flannans College, Ennis with a flock of 200 Chaffinches and 30 Collared Doves. One Long-tailed Duck was at Liscannor. One Merlin and one Whooper Swan were at Clahane. There were five Jays and 11 Gadwall at Lough Inchiquin. At Ballyallia Lake there were 70 Tufted Duck, 300 Wigeon, 200 Teal, one Water Rail and one Jay. A flock of 75 Greylag Geese were at Doon Lough, Broadford. Over 300 Coots were at Lough Cullaunyheeda, near Kilkishen. 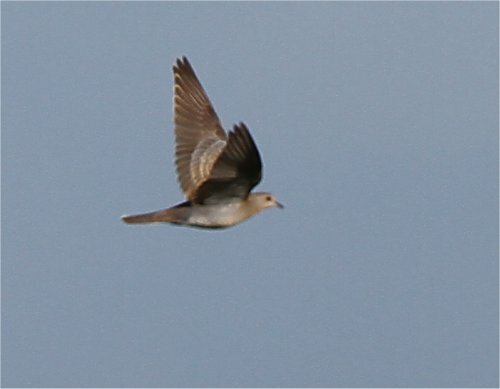 There were five Snow Buntings near Ballinalacken Castle. Over 2,500 Dunlin, 80 Knot, 800 Golden Plover, 20 Shelduck, three Water Rail and a Little Egret at Shannon Airport Lagoon at lunchtime. The flock of 22 Whooper Swans were still at Lough Gash, Newmarket-on-Fergus. Nine Black-throated Divers and one Snow Bunting were at Finvarra Point. 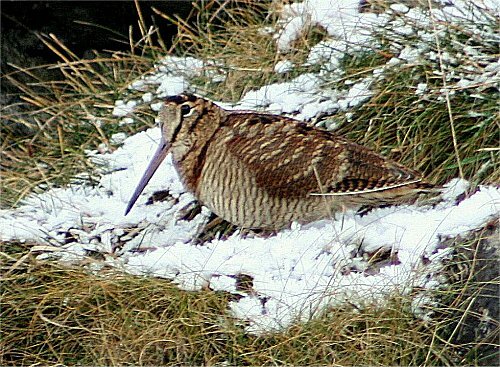 There was one female Hen Harrier, one Manx Shearwater and a Jack Snipe at Loop Head. Five Scaup and one Little Egret were at Carrigaholt. One Kingfisher was one the River Fergus at Willow Park, Ennis. One first-winer Mediterranean Gull was at Quilty today along with 120 Dunlin, 40 Sanderling, 60 Turnstone, 30 Purple Sandpiper and ten Great Northern Divers. At Lough Gash, Newmarket-on-Fergus there were 22 Whooper Swans, 12 Gadwall and 40 Tufted Ducks. There were 30 Purple Sandpipers, over 100 Dunlin, 50 Sanderling plus the Great Northern Divers at Seafield, Quilty. A Jay was at Lees Road Wood this afternoon. At Loop Head and Kilbaha today there was one Snow Bunting, one Lapland Bunting, three Bramblings, one Turtle Dove, one female Blackcap, one Chiffchaff, two Tree Sparrows, one Merlin, one Long-tailed Duck, two Great Northern Divers, one Red-throated Diver, one Purple Sandpiper and one Eastern Jackdaw. A flock of 24 Greenland White-fronted Geese were at Tullagher Bog this evening. There was a flock of 48 Whooper Swans and 23 Greylag Geese on flooded field near Scarriff Bay. A male Hen Harrier was in fields near the Bridges of Ross. One Kingfisher was seen near Doora. 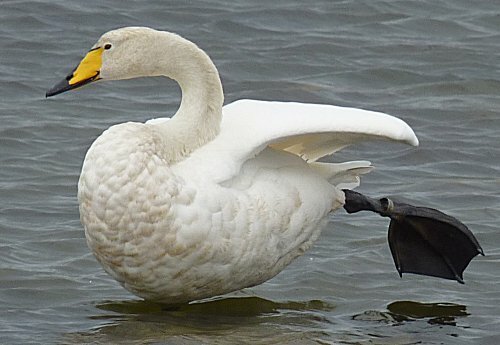 Five Whooper Swans were at the Drumcliff end of Ballyallia Lake. 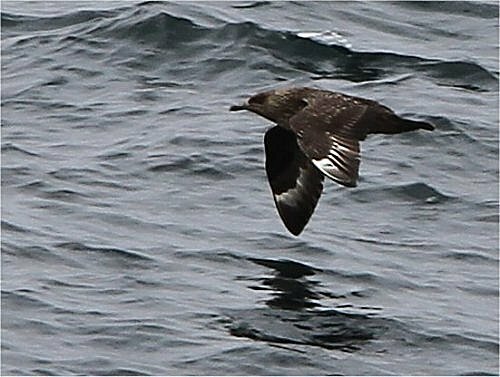 There were two Storm Petrels and three Great Northern Divers off the Bridges of Ross. 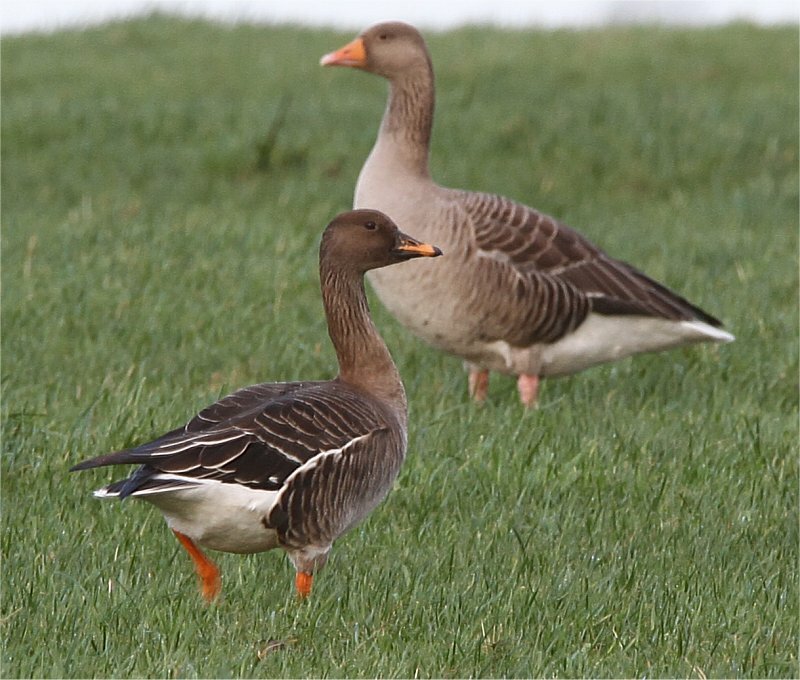 A flock of 14 Greylag Geese were at Applewood, Ballycar, Newmarket-on-Fergus. There were 11 Brent Geese and two Little Egrets at Querrin. One Little Egret was at Latoon Bridge. There were two Jays at Willow Park, Ennis. 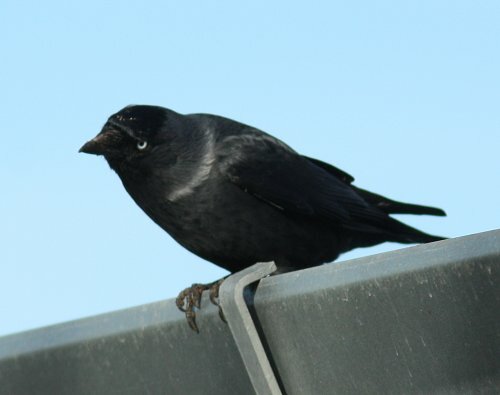 One Carrion Crow was near Shannon Airport. 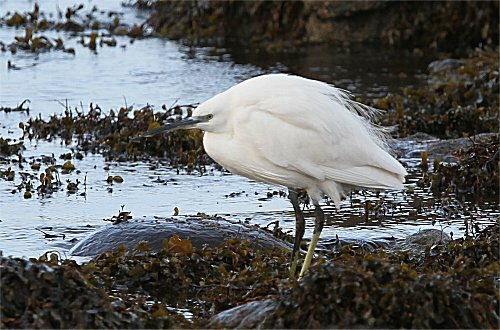 One Little Egret was at Bishop’s Quarter, Ballyvaughan. One Long-eared Owl was seen hunting near Applewood, Ballycar. 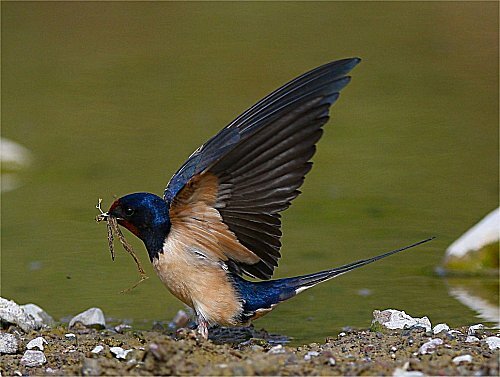 One Swallow was seen near Mount Vernon, New Quay. There were 16 Greenland White-fronted Geese at Lough Muckanagh, the Burren. A flock of 120 Chaffinches were at Querrin. A small group of 18 Whooper Swans were at Ballygireen, Newmarket-on-Fergus. A Jay was at Lees Road Wood in Ennis. three Kestrels, 40 Chaffinches, six Snipe and one Robin at the Lighthouse compond. At the Bridges of Ross there were three Bonxies and two Grey Phalaropes. A flock of 29 Whooper Swans and 25 Black-tailed Godwits were at Lough Gash. Five Greenland White-fronted Geese were seen flying North over Lisdeen Church, Kilkee. 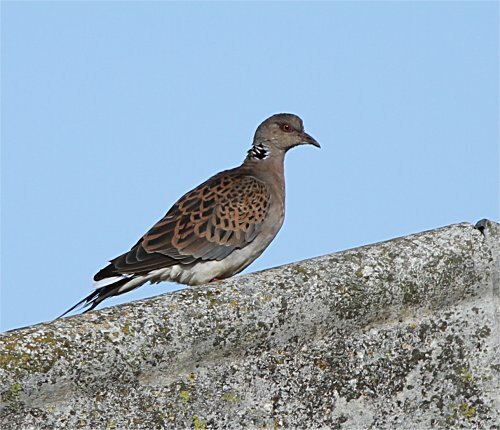 The Turtle Dove was still at Loop Head, along with one Brambling, one female Blackcap, one Water Rail, one Jack Snipe, three Chiffchaffs, four Tree Sparrows, five Siskins, one male Hen Harrier, one Peregrine, one Great Northern Diver and two Merlins. One Green Sandpiper was in a flooded field east of Doonbeg. 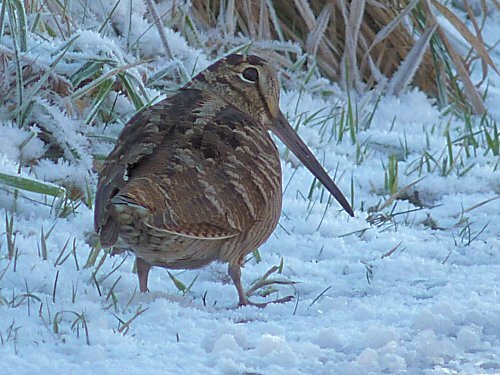 There were over 100 Snipe and one Water Rail at Kilcredaun Marsh. Today on flooded Turloughs between Tubber and Beagh there were 120 Little Grebes, 140 Tufted Ducks, 80 Shoveler, 22 Pochard, 70 Lapwings and seven Whooper Swans. 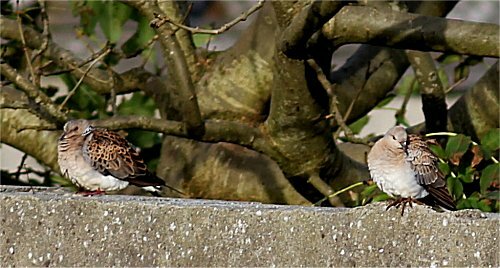 The Turtle Dove and three Tree Sparrows were at Kilbaha today. Two Green Sandpipers, one Kingfisher and two Little Egrets were at Ballycorrick Bridge, Ballynacally. 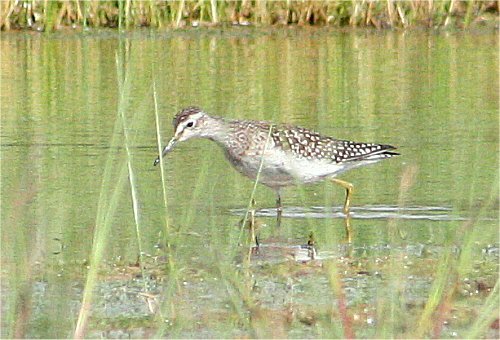 One Green Sandpiper was at the Claureen River Attenuation Pond in Ennis. One Wheatear and one Jack Snipe were at Seafield. One female Hen Harrier was at Lough Donnell. One male Hen Harrier was at Lough Muckanagh. 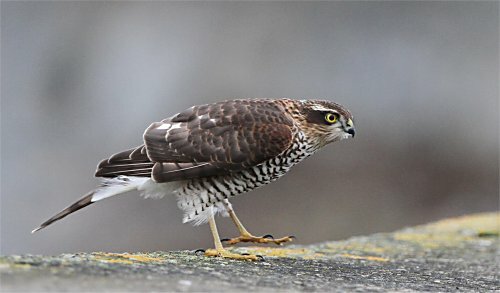 One Merlin was at Doonagore Bog. One female Scaup and one Greylag Goose and the two Black Swans were at Lough Murree. 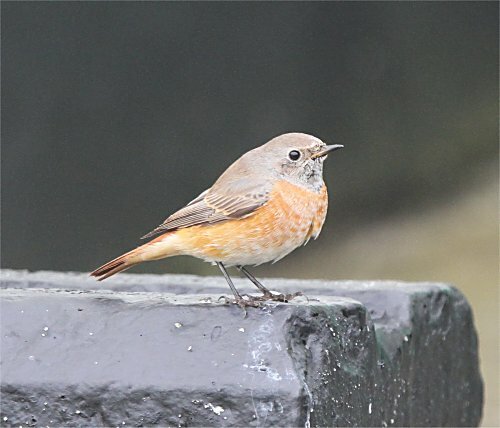 The Black Redstart and Turtle Dove were still at Kilbaha today, along with three Chiffchaffs, four Tree Sparrows, one Hen Harrier and two Merlin at Loop Head Lighthouse. 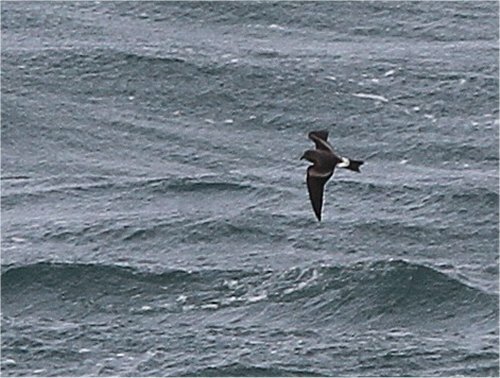 At the Bridges of Ross this evening there were six Pomarine Skuas, two Bonxies, one Arctic Skua, three Leach’s Petrels, six Manx Shearwaters, four Grey Phalaropes, three Red-throated Divers, one Great Northern Diver, two Brent Geese, one Common Scoter and hundreds of Razorbills, Guillemots and Kittiwakes. 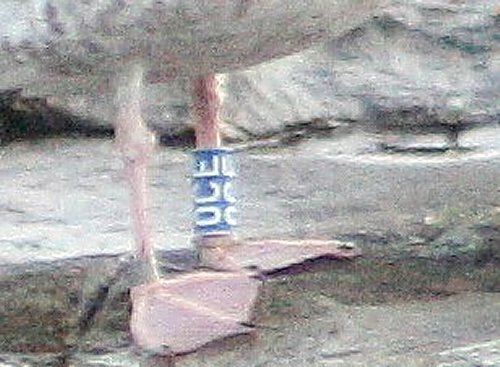 There were 42 Greylag Geese at Applewood, Ballycar, Newmarket-on-Fergus. 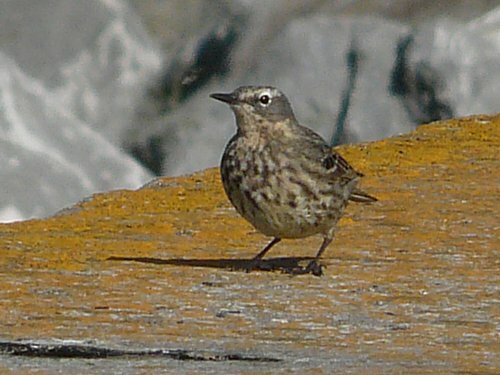 The WATER PIPIT was at Seafield (Dave McNamara), along with one Wheatear, one Merlin and three Great Northern Divers. There were 66 Whooper Swans at Lough Atedaun. Three Jays and 55 Gadwall were at Lough Inchiquin. Twenty eight Whooper Swan including four juveniles were at Lough an Lionáin on the road to Carron. One Woodcock was at Gort Coirce, Corofin. Two Raven were at Eagle’s Rock. The drake Green-winged Teal was at Bell Harbour (Tom & Nuala Lynch), along with one Little Egret. 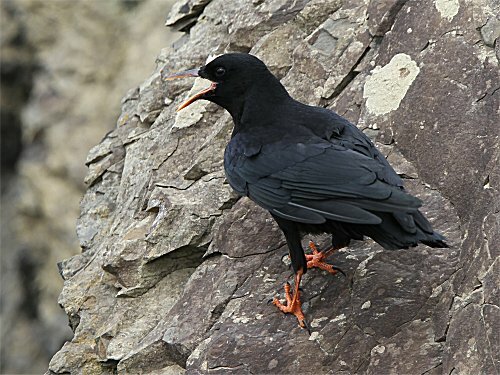 Four Chough were at Alliwee Cave. 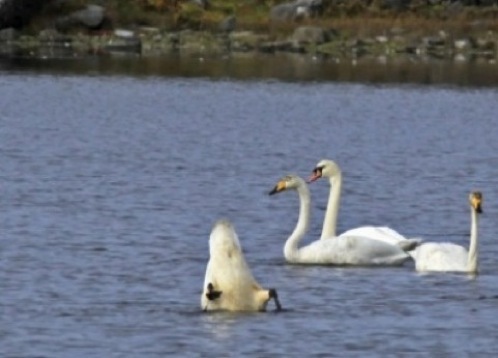 There were four Whooper Swan at Lough Muree. 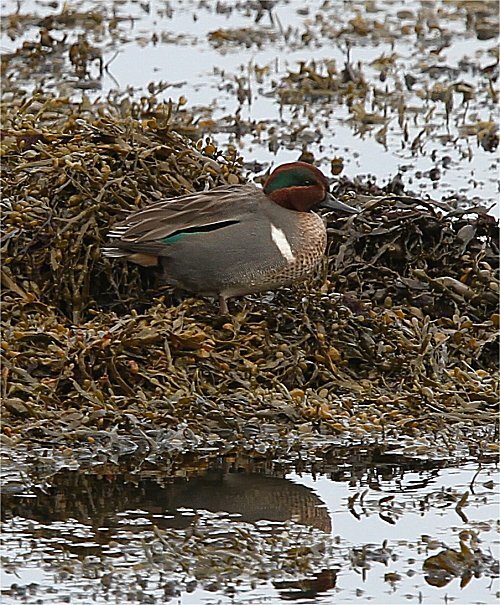 The drake Green-winged Teal has returned to Bell Harbour for the winter (Gerry Butler). At Loop Head today there was one Turtle Dove, one Black Redstart, one Brambling, one male Blackcap, four Tree Sparrows, one Fieldfare, six Chiffchaff, one Willow Warbler, two Short-eared Owls, two Merlin, one Hen Harrier while 60 Magpies and 200 Jackdaws flew out over the sea at Loop Head. One Green Sandpiper and one Kingfisher were at Moyasta. Four Whooper Swans flew over Applewood, Ballycar this evening. Twelve Gadwall were at Ballyallia and also a Raven. 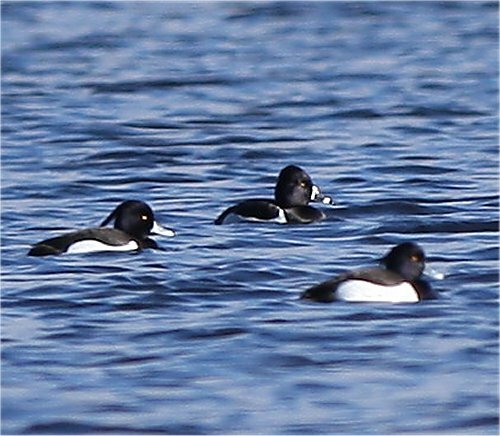 two Scaup and nine Goldeneye. 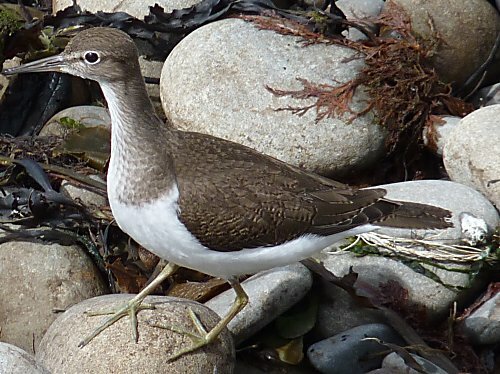 There were one Green Sandpiper at Doonbeg. A small group of Whooper Swans flew over Dromoland Castle Estate while in the woods there were three Jays. 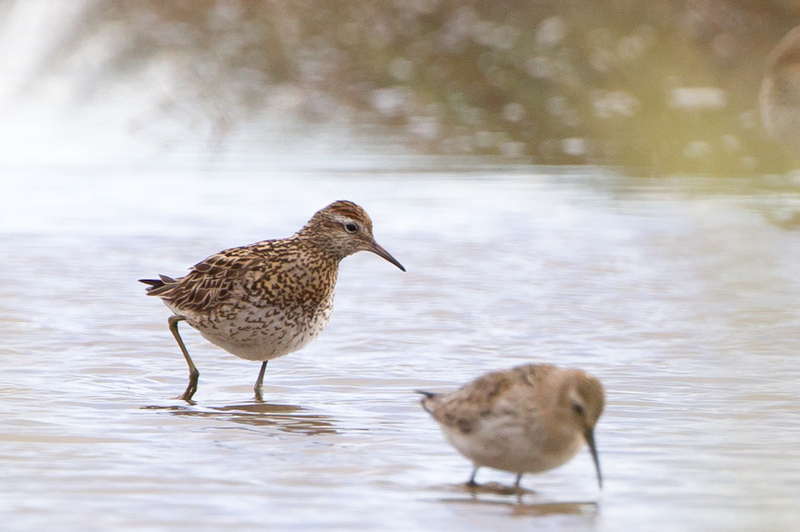 Three Green Sandpipers were at the Claureen River Attenuation Pond. 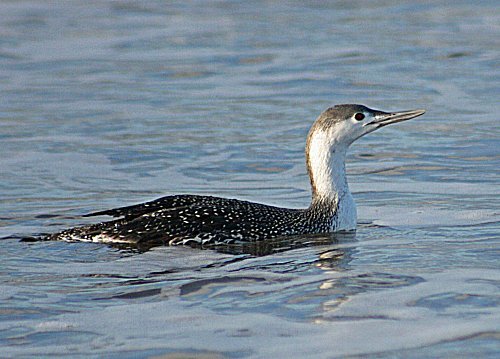 A flock of 16 Black-throated Diver were seen near Black Head. There were 38 Whooper Swans, one Scaup and 18 Little Grebe at Ballyallia Lake. 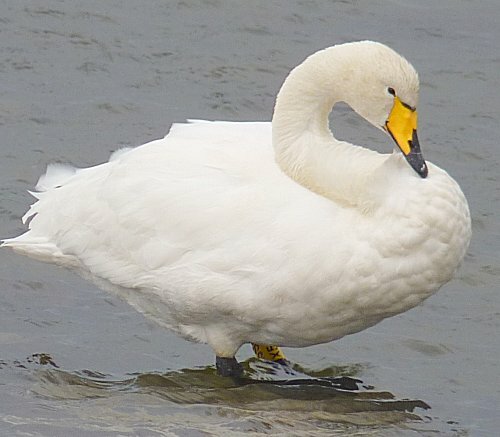 There were two Whooper Swans at Lough Murree today. Three Jays were at Dromoland Estate. 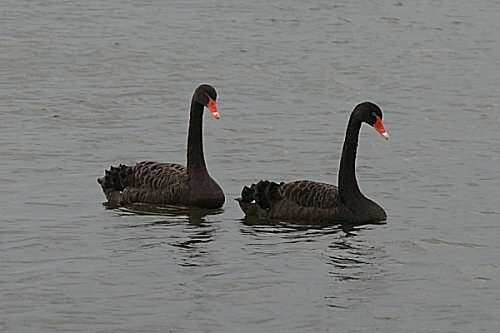 The two Black Swans were still at Lough Murree. 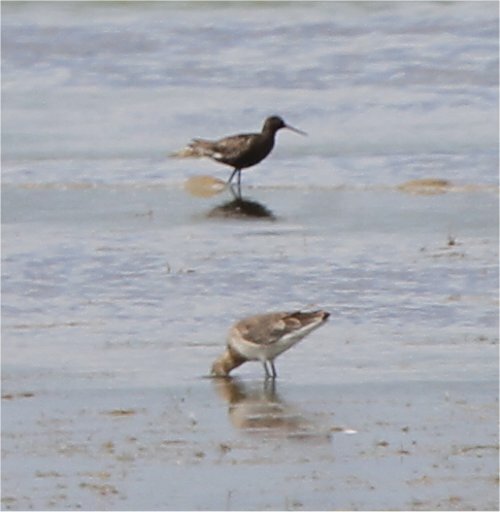 a mixed passage of waders. One Hen Harrier was near Cross Vilage. 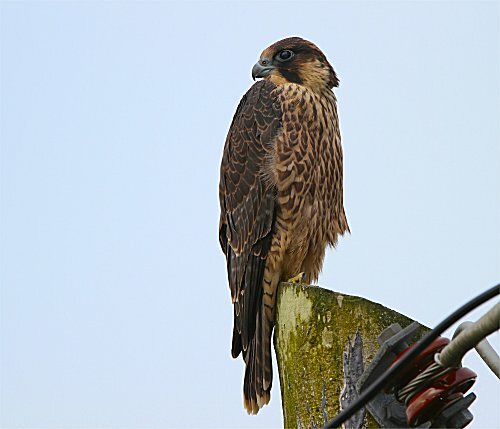 One Merlin was at Doonbeg. There was one Merlin and two Chough at Clahane. One female Scaup, 20 Gadwall and three Jays were at Lough Inchiquin. 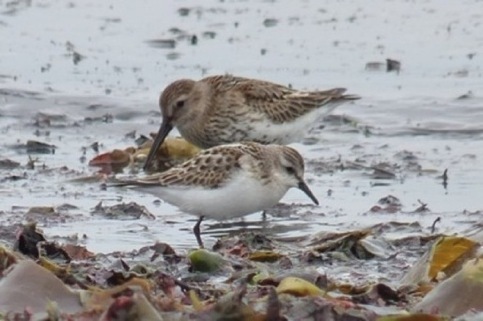 Three Little Stints, one Curlew Sandpiper and a Peregrine were at Seafield, Quilty. One second-winter Mediterranean Gull was at Doonbeg Lough. Three Jay and 16 Gadwall were at Lough Inchiquin. Seven Little Egrets were at Blackweir Bridge. One Little Egret was at Manusmore, Clarecastle. One male Blackcap was in a garden in Ennis today. There were 44 Greylag Geese at Appewood, Ballycar, Newmarket-on-Fergus this morning. 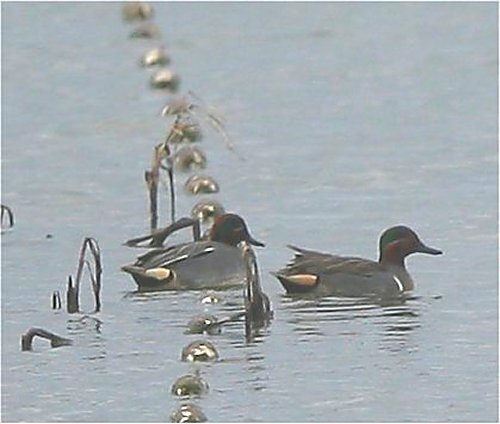 The Blue-winged Teal was at Shannon Airport Lagoon this afternoon (James Hayes, Clodagh Glasgow, Geoff Hunt et al). 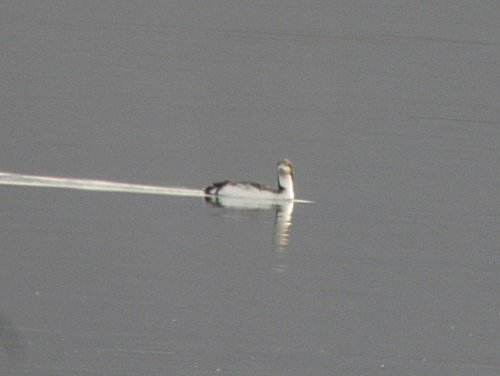 Also at the Shannon Airport Lagoon there was the immature Garganey and two Hen Harriers. 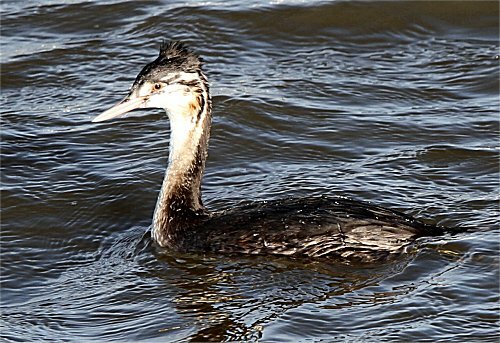 One Slavonian Grebe was at Clahane, Liscannor. One Wheatear was on the cliff walk Kilkee. A flock of 22 Greylag Geese were at Ballycar, Newmarket-on-Fergus. Another small flock of Greylag Geese were at Darragh. A male and female Blackcap were in a garden at Oak Park Ennis. The Blue-winged Teal was at the Shannon Airport lagoon this morning (Finbarr McGabhainn), along with the immature Garganey, one Barn Owl, one Peregrine and ten little Egrets. There were two Little Stints and three Curlew Sandpipers at Seafield, Quilty. Seven Jays were at Clifden Hill, Corofin. Ten Gadwall and 55 Little Grebes were at Lough Inchiquin. At Loop Head today were two Lapland Buntings, one Blackcap, one Tree Sparrow, two Willow Warblers, one Merlin, one Hen Harrier, 22 Chough, over 100 Golden Plover, five Redwing and a flock of 51 Magpies at the Lighthouse. 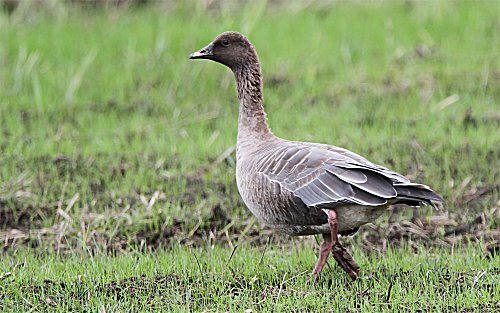 At Kilcredaun the Pink-footed Goose was still present along with two Snow Buntings at the Lighthouse and one Willow Warbler near the O’ Curry Irish speaking college. 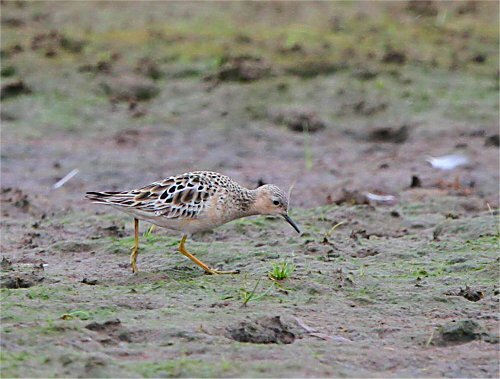 One Ruff and a Little Stint were at Lough Donnell. Four Curlew Sandpipers were at Seafield, Quilty. One Garganey, seven Water Rails and 27 Little Egrets were at the Shannon Airport Lagoon. 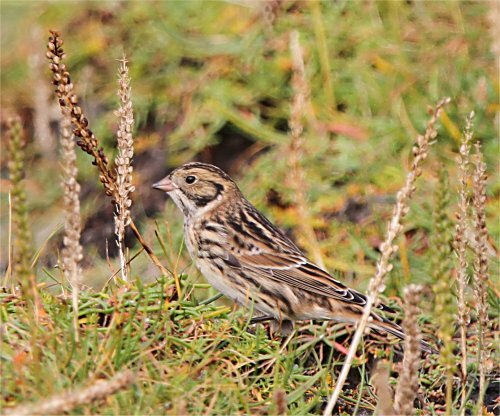 At Loop Head today there were 12 Lapland Bunting, one Buzzard, one Short-eared Owl, four Willow Warblers, three Chiffchaff, two Twite, three Merlin, one Peregrine, a Pied Flycatcher, one Blackcap, a Redwing and one Fieldfare. Twenty Chough and 125 Golden Plover were at the Fodry. One Barn Owl was near Doonbeg. Another Barn Owl was near Mount Callan. 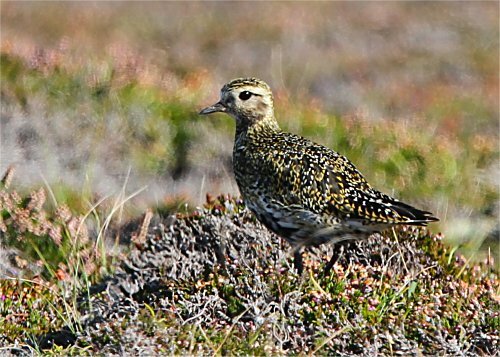 At Moyasta there were 470 Golden Plover. 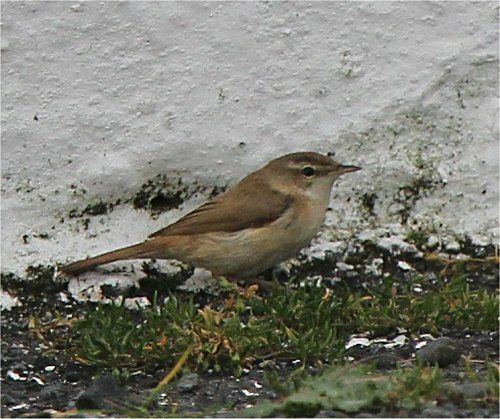 The Paddyfield Warbler was still at Loop Head Lighthouse compound today (Brian Haslam, Dermot O Mahony, Sean Farrell et al). 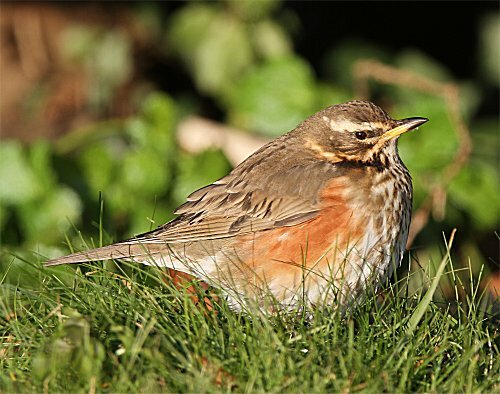 A Red-throated Pipit was found near Loop Head lighthouse (Brian Haslam). 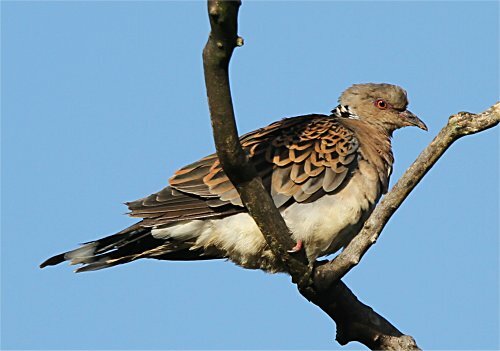 This is a first county record of this rare eastern European vagrant. 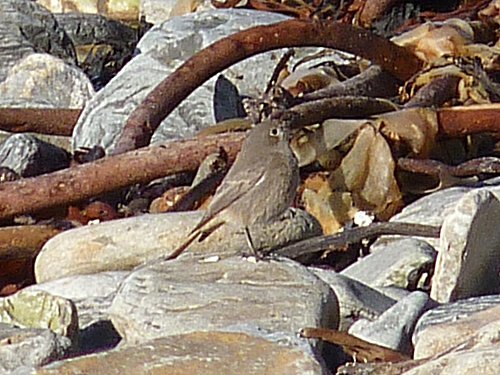 The Nightingale was also still at the lighthouse (Sean Farrell et al), along with one Redstart, three Pied Flycatchers, one Lesser Whitethroat, three Whinchat, one Blackcap, one Spotted Flycatcher, four Chiffchaff, one Short-eared Owl, one Hen Harrier and one Lapland Bunting. 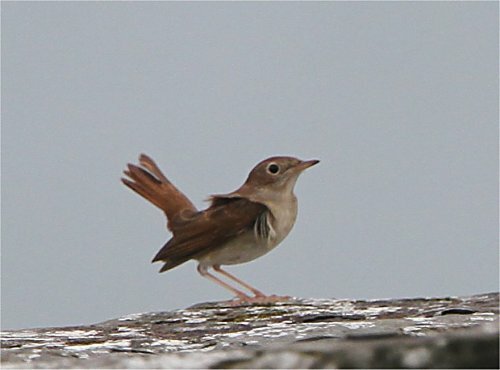 At Loop Head Lighthouse today there was one Paddyfield Warbler (John N Murphy, Finbarr McGabhann, Tony Mee et al), one Nightingale was also in the lighthouse garden (John N Murphy, Finbarr McGabhann, Tony Mee, Frank O’ Duffy et al). 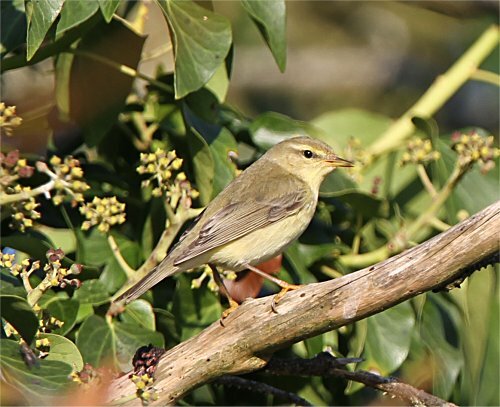 Both these are new species and first time records for the county. 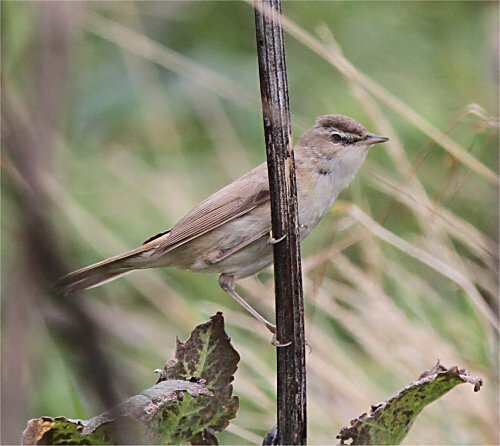 There have only been 5 previous records of Paddyfield Warbler in the country. 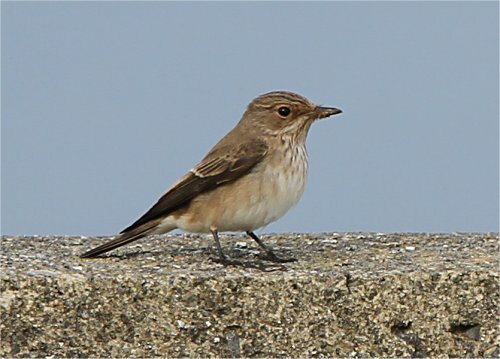 Other migrants at Loop Head Lighthouse were; one Pectoral Sandpiper, one Redstart, four Pied Flycatcher, two Lesser Whitethroats, two Whinchat, two Spotted Flycatchers, one Ringed Ouzel, one Garden Warbler, four Blackcap, one Willow Warbler, one Hobby, one Short-eared Owl, two Merlin, four Redwing, one Tree Sparrow, three Lapland Buntings and one Snow Bunting. with one immature Garganey and three Little Egrets. 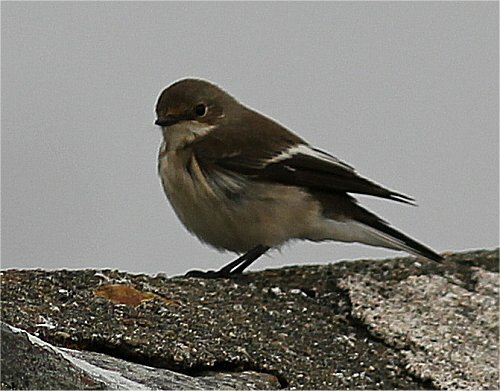 Two Pied Flycatchers,one Lesser Whitethroat, two Wheatears and a Merlin were at Loop Head. There was one juvenile Arctic Tern, a Purple Sandpiper and four White Wagtails at Clahane. 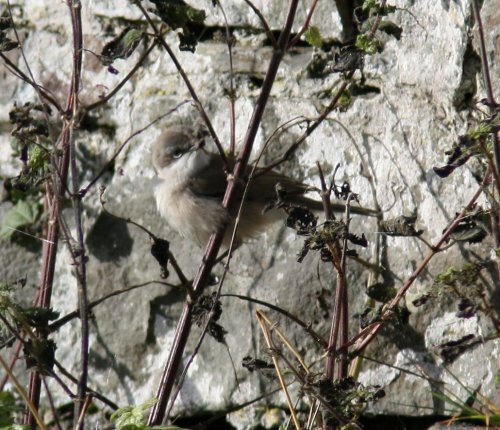 One Lesser Whitethroat was seen at the Lighthouse at Loop Head. 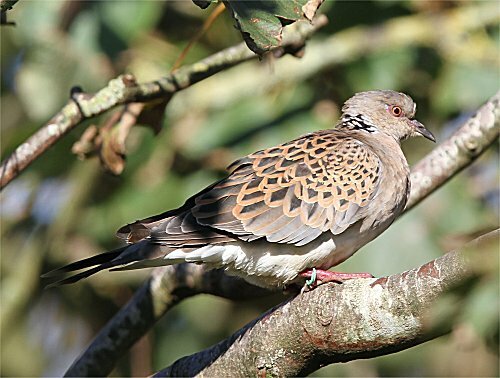 A first-winter Turtle Dove was at Gibson’s garden in Kilbaha. 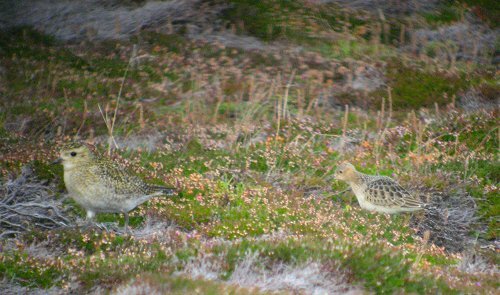 Also seen in the Loop Head area today were two Great Skuas, a Willow Warbler, one Wheatear, seven Golden Plovers and nine Snipe. Two Jay were at Lees Road Wood. There were five Curlew Sandpiper, 250 Dunlin, 16 Knot, 120 Golden Plover, 700 Black-tailed Godwits and 200 redshank on the mudflats at at the Shannon Airport this afternoon. A pair of Black Swans were at lough Murree today, probably the pair that have been frequenting Limerick City over the past few weeks. 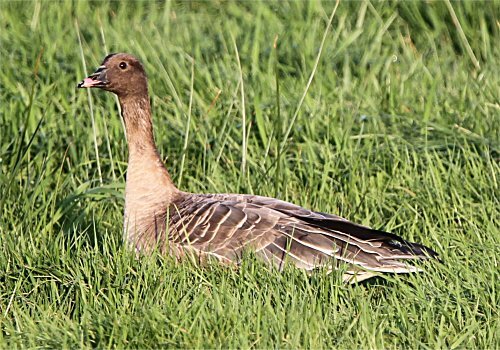 The Pink-footed Goose was at Kilcredaun earlier today. At Loop Head today there were 12 Lapland Buntings, three Snow Buntings, one Twite, ten Redpolls, one Willow Warbler, one Merlin, one Peregrine and four Chough. One Curlew Sandpiper was at the Bridges of Ross. One Green Sandpiper was at Moyasta along side two Little Egrets. One colour wing tagged Hen Harrier was at Querrin. 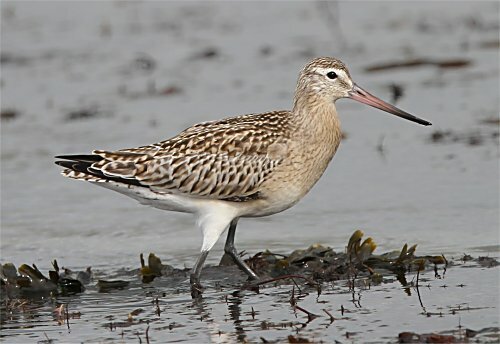 There were 50 Bar-tailed Godwits at Seafield, Quilty. One Jay was just south of Corofin. 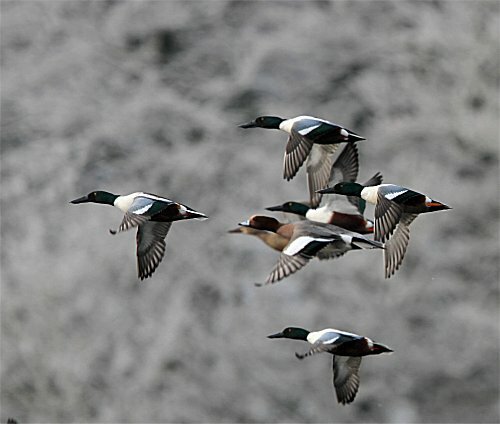 A flock of 250 Wigeon were at Lough Murree. The Black Tern was back at Lough Atedaun along with one female Hen Harrier. 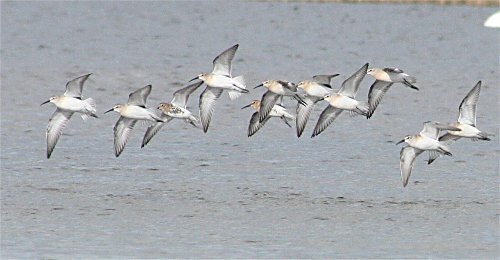 A flock of 106 Black-tailed Godwit were at Ballyallia. 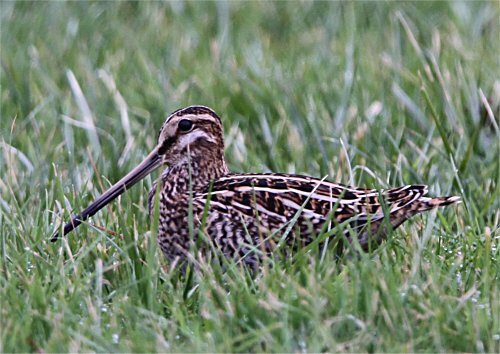 A flock of 50 Snipe were at Lough George this morning. A small group of 16 Black-tailed Godwits were at Lough Gash along with one Peregrine. Another flock of 52 Black-tailed Godwit were at Ballyallia. 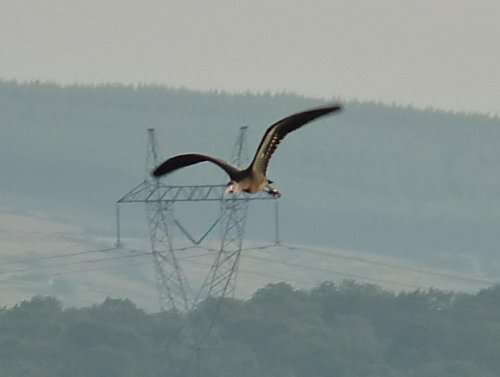 One Pink-footed Goose was near Kilcredaun Marsh. 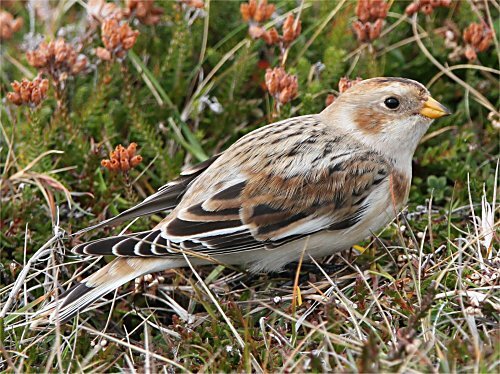 A Snow Bunting and two Lapland Buntings were at the Bridges of Ross. 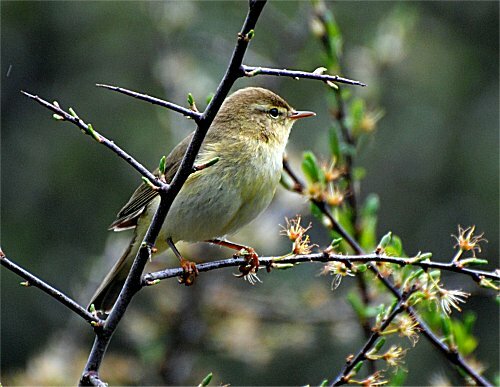 One Willow Warbler was at Kilbaha. One Spotted Redshank, nine Little Egrets and 300 Teal were at Moyasta. 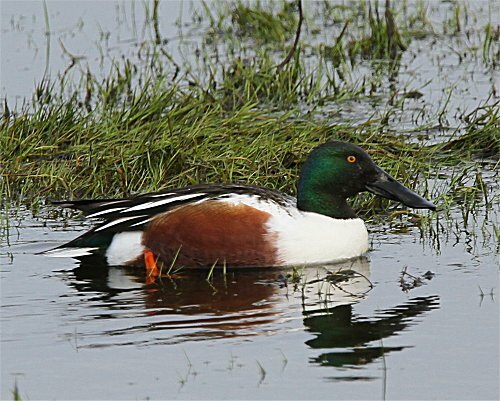 The Blue-winged Teal was still at the Shannon Airport Lagoon (John N Murphy), along with 25 Shoveler, six Gadwall, 140 Teal, 1,200 Black-tailed Godwits, 120 Golden Plover, four Little Egrets and five Water Rails. One Pectoral Sandpiper was at lough Atedaun. There were 32 Bar-tailed Godwits and four White Wagtails at Quilty Beach. 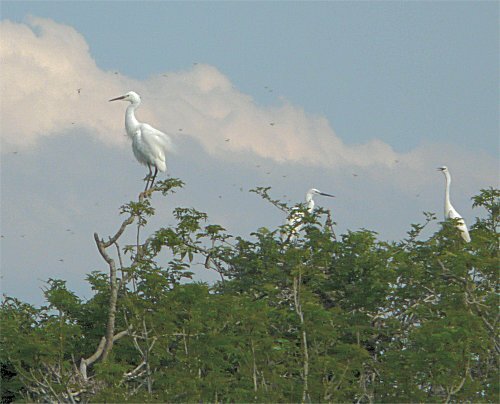 There were three Little Egrets at Moyasta. Two Chough were at Lough Donnell. 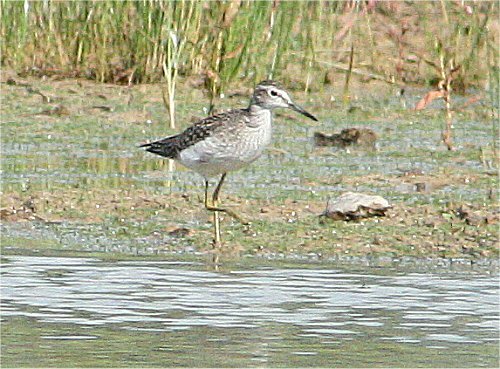 One Green Sandpiper was a near Querrin Point with two Little Egrets were at Querrin Creek. The Black Tern was back at Lough Atedaun. 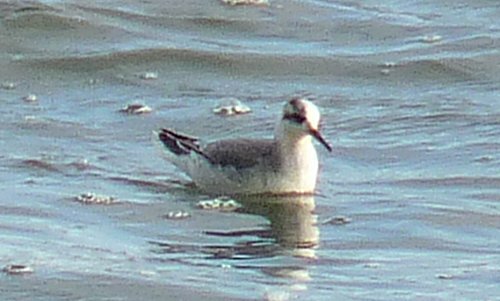 At the Bridges of Ross there was one immature Sabine’s Gull, six Arctic Skuas and four Grey Phalaropes. On Loop Head there were three Wheatears, five Chough, one Merlin, one Peregrine and 18 Rock Doves. There was one Green Sandpiper and one Common Sandpiper at Clarecastle Quay. There was a drake Eider off Aughinish Island this afternoon along with 40 Black Guillemots and three Sandwich Terns. Along the shore near Aughinish were two Wheatears and ten Little Egrets. There was a flock of 18 Chough at Baltard Bay, Doonbeg. Two Little Egrets were at Querrin. The juvenile Black Tern was still at Lough Atedaun. One Green Sandpiper and a Kingfisher were at Moyasta. 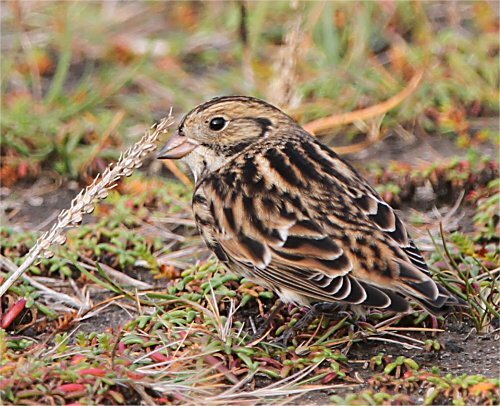 Six Lapland Buntings were in Kilbaha village. The Buff-breasted Sandpiper was at Loop Head again today (Finbarr MacGabhann). 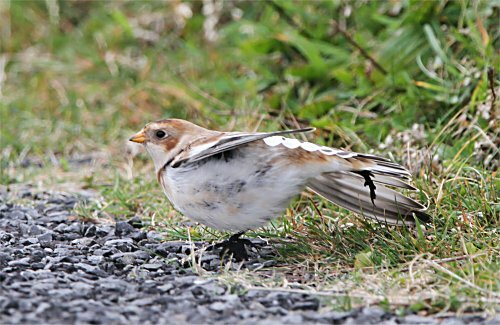 Also on the Loop Head peninsula were nine Lapland Buntings and one Snow Bunting. 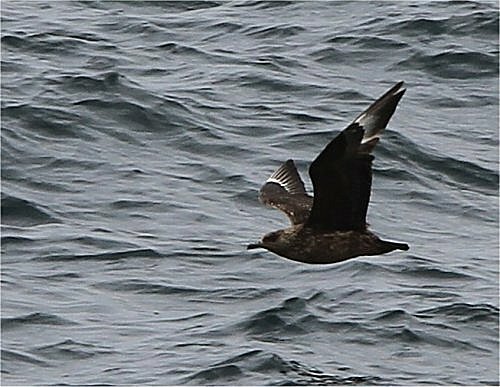 Off the Bridges of Ross there were six Bonxies, three Arctic Skuas, five Common Scoter and a Whimbrel. 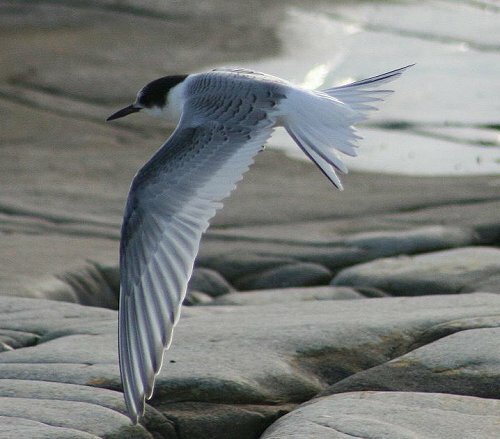 A single Roseate Tern was on the beach at Kilkee. Two Curlew Sandpipers and a Kingfisher were at Blackweir Bridge. There were seven Little Egrets were at Poulnasherry Bay. One immature Blue-winged Teal was at the Shannon Airport Lagoon this afternoon (John N Murphy) and two Garganey, 12 Little Egrets, eight Gadwall, seven Water Rails and one Peregrine. 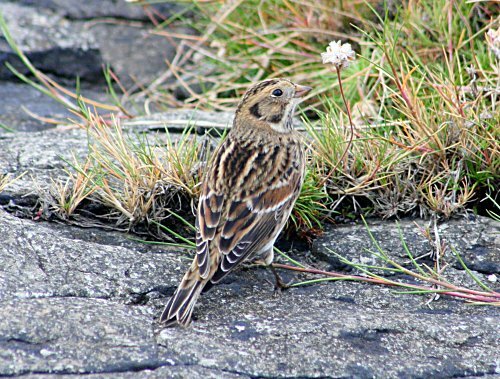 Ten Lapland Buntings and five Snow Buntings were on Loop Head. 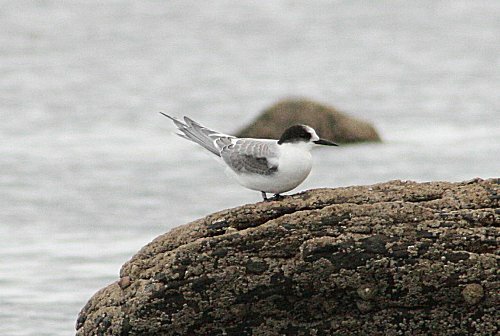 One Black Tern was Lough Atedaun. One Arctic Skua, one Curlew Sandpiper and eight Chough were at Doonbeg. 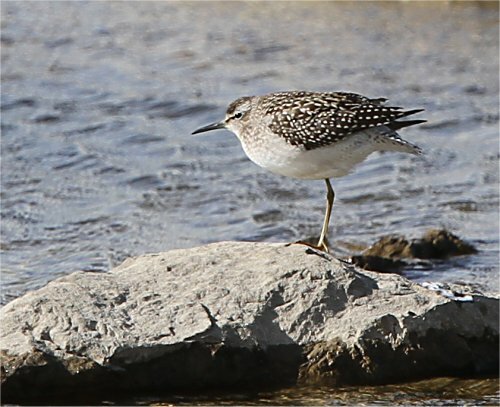 The Buff-breasted Sandpiper was back on Loop Head with 12 Golden Plover (Howard Williams). 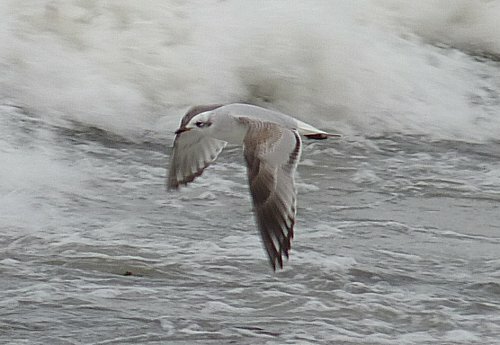 Three Sabine’s Gulls and a Black Tern were at the Bridges of Ross. 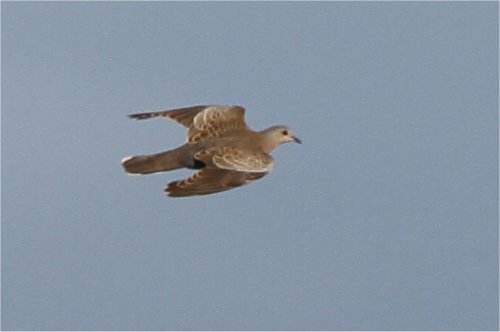 Four Pink-footed Geese flew over Kilbaha, while eight Lapland Buntings were found up the headland. 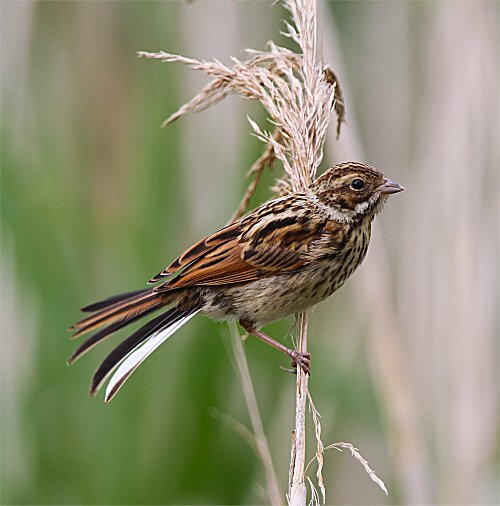 Two Lapland Buntings were at Poulnadsherry Bay. 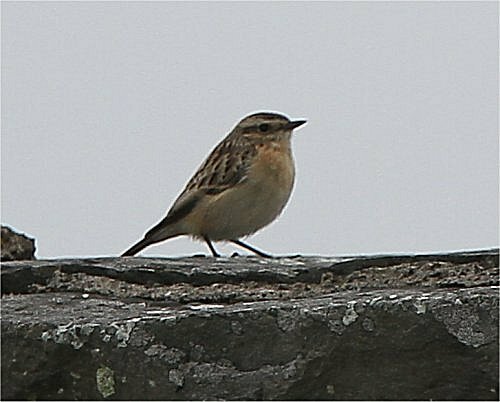 One Lapland Bunting and five Wheatears were at Lough Donnell. 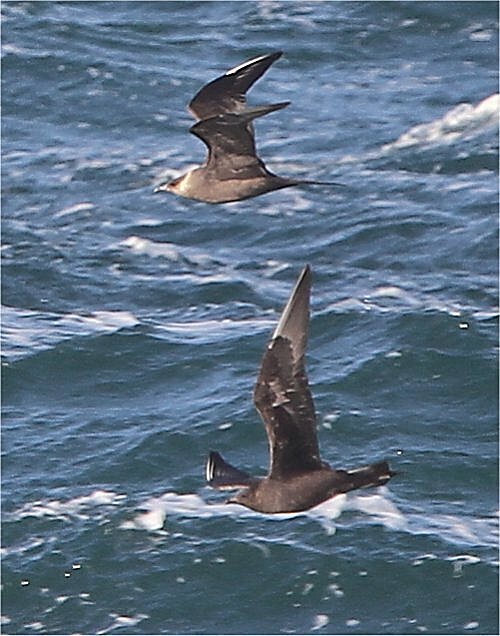 At the Bridges of Ross today there was one Balearic Shearwater, 20 Sooty Shearwaters, 1,000 Manx Shearwaters, 13 Leach’s Petrels, four Storm Petrels, five Pomarine Skuas, 46 Arctic Skuas, 36 Bonxies, five Sabine’s Gulls, 134 Arctic Terns, one Common Tern, 19 Sandwich Terns, 45 Grey Phalaropes, 27 Common Scoter, 10 Red-throated Divers, one Great Northern Diver, one Puffin, five Wigeon, three Teal and 17 Brent Geese. Off the Blue Pools near Kilkee there were four Bonxies, one Pomarine Skua, one Arctic Skua, one Leach’s Petrel, two juvenile Sabine’s Gulls, ten Arctic Terns, one Red-throated Diver and 31 Grey Phalaropes. 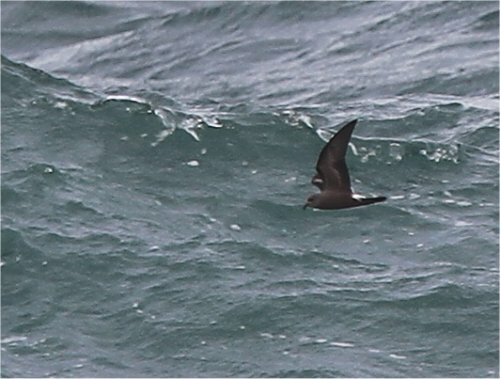 At the Bridges of Ross today there was one Wilson’s Storm Petrel (John N Murphy et al), 180 plus Leach’s Petrels, 24 Storm Petrels, 130 plus Sooty Shearwaters, one Balearic Shearwater, 1,500 Manx Shearwaters, one adult Long-tailed Skua (Niall T Keogh), 44 Arctic Skuas, 11 Pomarine Skuas, 93 Bonxies, 37 Sabine’s Gulls, 420 Arctic Terns, one Common Tern, one juvenile Black Tern, 34 Sandwich Terns, one juvenile Little Gull, 40 Grey Phalaropes, eight Common Scoter, 14 Red-throated Divers, two Puffins, 13 Whimbrel and one Sunfish. 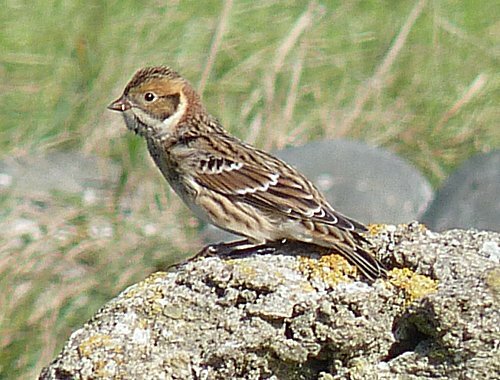 There were 14 Lapland Buntings at the Fodry, Loop Head. Off the Blue Pools, Kilkee today there were ten juvenile Sabine’s Gulls, three Arctic Skuas, one Bonxie, one Red-throated Diver, one Grey Phalarope and 20 Arctic Terns. At the Bridges of Ross today there were 27 Bonxies, one Balearic Shearwater, 86 Sooty Shearwaters, 152 Manx Shearwaters, two Pomarine Skuas, four Arctic Skuas, four Leach’s Petrels, 39 Storm Petrels, four Common Scoter, and one Merlin. There was a Sabine’s Gull and one Fin Whale off Loop Head. There were three Curlew Sandpipers, two Ruff, a female Hen Harrier and ten Little Egrets at the Shannon Airport Lagoon. 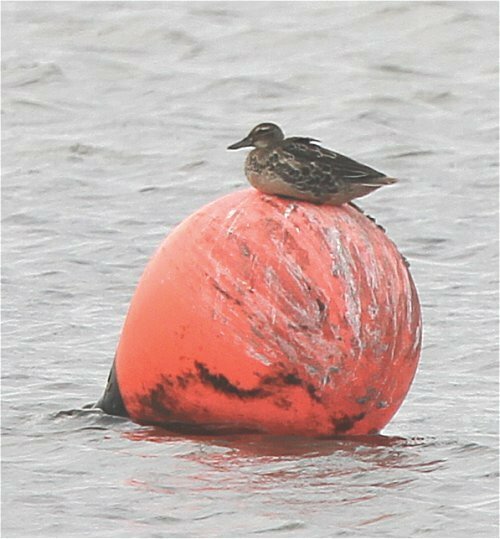 There was a juvenile Blue-winged Teal at the Shannon Airport Lagoon (Owen Foley). 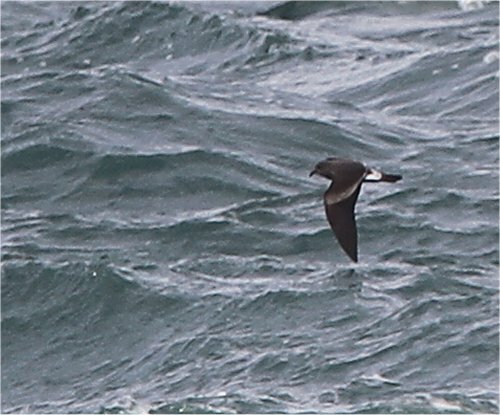 At the Bridges of Ross today there were three Sabine’s Gulls, 45 Bonxies, nine Arctic Skuas, 13 Leach’s Petrels, 3 Storm Petrels, 36 Sooty Shearwaters, 84 Manx Shearwaters, 16 Arctic Terns, 188 Sandwich Terns and six Red-throated Divers. 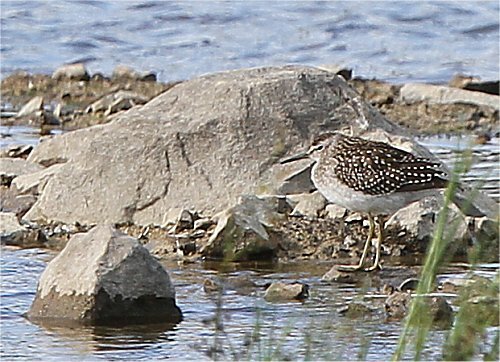 A Buff-breasted Sandpiper was at the tip of Loop Head (Owen Foley). 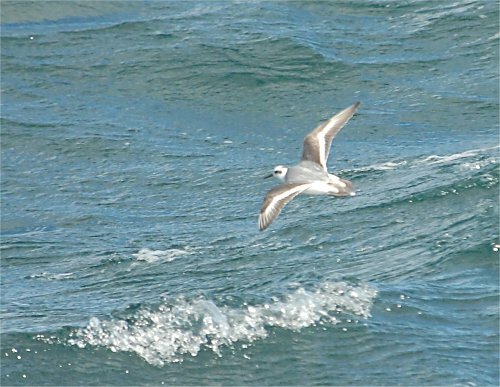 At the Bridges of Ross there were two Wilson’s Petrels (Owen Foley), one Pectoral Sandpiper, 170 Leach’s Petrels, six Storm Petrels, one Great Shearwater, 80 Sooty Shearwaters, 80 Bonxies, 45 Arctic Skuas, four Pomarine Skuas, six Sabine’s Gulls, one Little Gull, 20 Black terns, sic Arctic Terns, 35 Grey Phalaropes, two Red-throated Divers and eight Lapland Buntings. 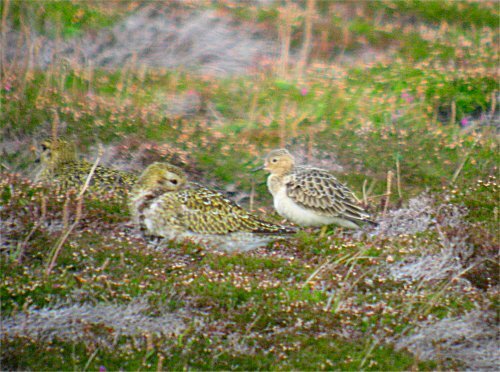 Three Lapland Buntings were near Kilcredaun Marsh. 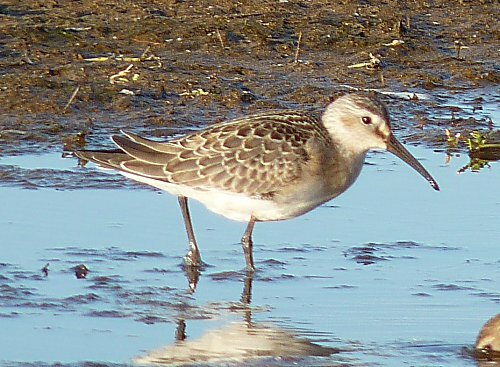 There were 16 Curlew Sandpipers and one Peregrine at the Shannon Airport Lagoon. Three Curlew Sandpipers were at Seafield, Quilty. One Kingfisher was at Lough Inchiquin. 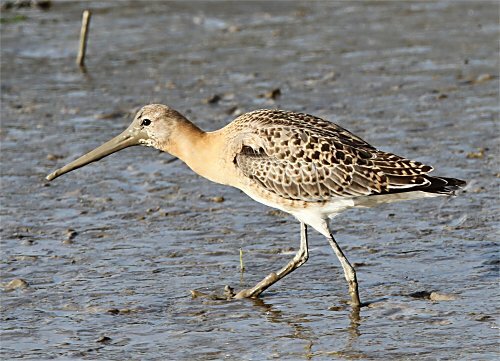 There were 15 Curlew Sandpipers at the Shannon Airport Lagoon along with 20 Ruff, 50 Knot, 1,000 Black-tailed Godwits, 300 Dunlin, nine Grey Plover, five Little Egrets, three Water Rails and one female Hen Harrier. 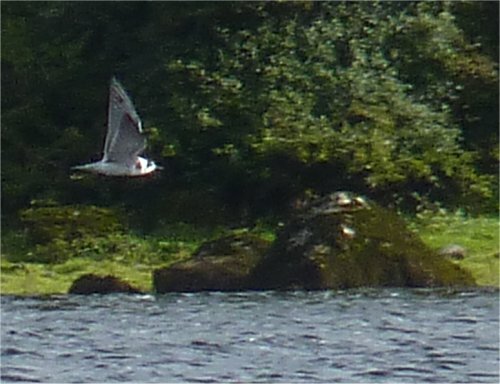 A juvenile Black Tern was at Lough Atedaun. One Spotted Redshank and a Little Egret were at Clenagh Bay, Newmarket-on-Fergus. There were three Grey Phalaropes, seven Arctic Skuas, four Bonxies, four Common Scoters, eight Arctic Terns and three Sandwich Terns off the Bridges of Ross. Five Lapland Buntings, one Spotted Flycatcher, one Willow Warbler, one Peregrine , one female Hen Harrier, 15 Wheatears and ten Chough were at Loop Head. One Glossy Ibis was at the Shannon Airport Lagoon (John N Murphy & Brian Finnegan), along with one Wood Sandpiper, two Ruff, 50 Knot, 1,800 Black-tailed Godwits, three Water Rails, 14 Little Egrets and three Wheatears. The Spoonbill was back in the Shannon Airport Lagoon late this evening (James Hayes, Clodagh Glasgow and Sinead Glasgow). There were 14 Curlew Sandpipers and a Little Egret at Lough Donnell. The Glossy Ibis is showing well this morning at Lough Atedaun (Dave McNamara & Frank O’Duffy). 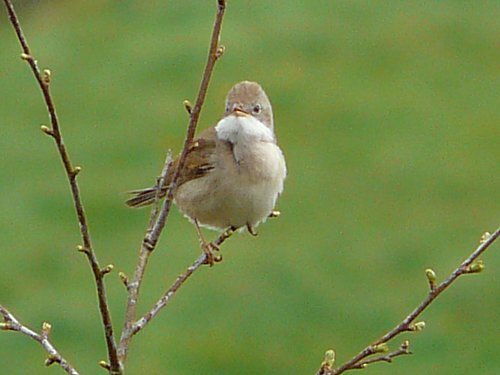 A Loop Head there was one Turtle Dove, one Pied Flycatcher, one male and one female Blackcap, three Spotted Flycatchers and a Willow Warbler. 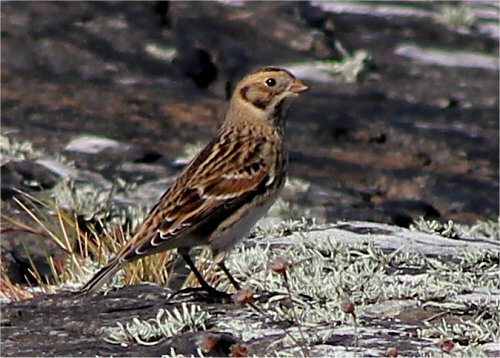 One Lapland Bunting was at the tip of Loop Head. There are large numbers of Swallows building up on wires in preparation for migration. 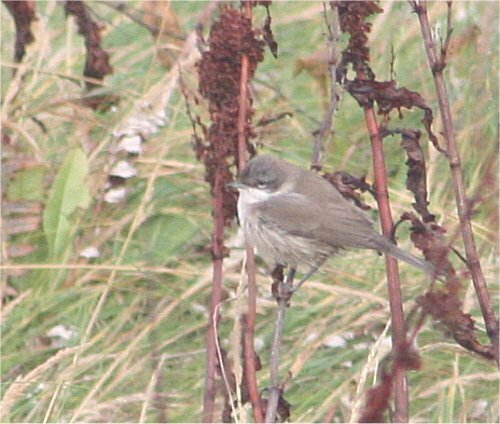 A juvenile Red-breasted Flycatcher was an early record and proved elusive at Gibson’s Garden, Loop Head (John N Murphy & Finbarr MacGabhann). Also at Loop Head was one Pied Flycatcher, five Spotted Flycatchers, one juvenile Turtle Dove, three Lapland Buntings, 22 Rock Doves, three Chough, one Chiffchaff, one Willow Warbler and a Minke Whale was seen off the tip of Loop Head. The American Golden Plover was at Moyasta (John N Murphy & Finbarr MacGabhann), along with one Spotted Redshank, one Kingfisher and 12 Little Egrets. 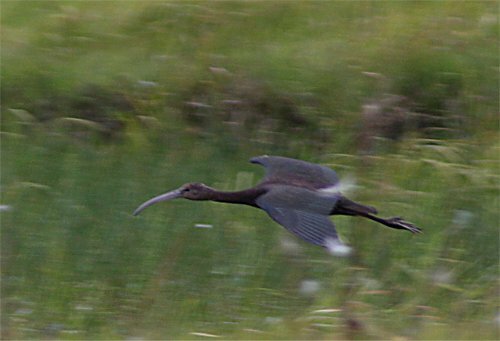 Two Glossy Ibises were at the Shannon Airport Lagoon this morning (John N Murphy), along with four Ruff, one female Hen Harrier, one juvenile Peregrine, 3,500 Black-tailed Godwits of which three were colour banded, 60 Wigeon, 300 Teal, ten Shoveler, four Gadwall, 26 Little Egrets and four Water Rails. 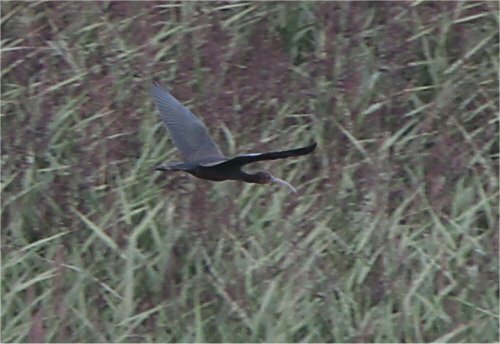 There was a Glossy Ibis in Lough Atedaun this evening (Dave McNamara). 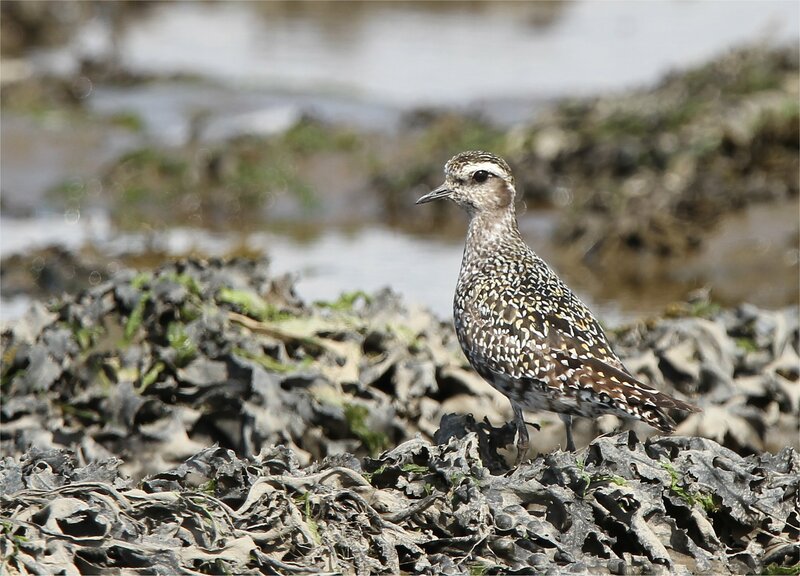 The American Golden Plover and Spotted Redshank were still at Moyasta (Dave McNamara). 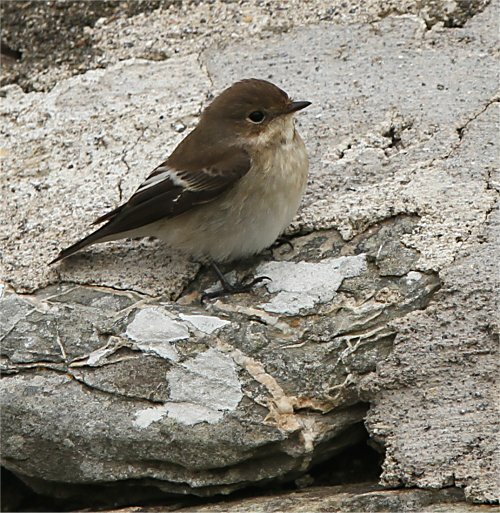 One Pied Flycather and ten Spotted Flycatchers were in gardens Loop Head. 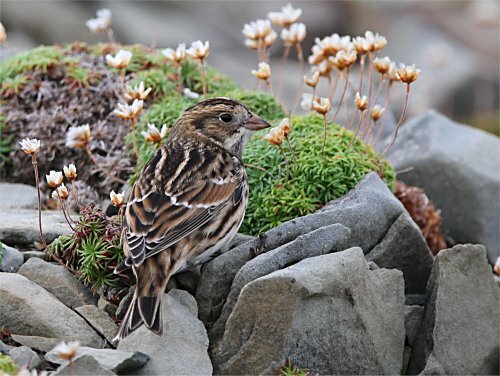 At the tip of Loop Head there was 11 Lapland Buntings. 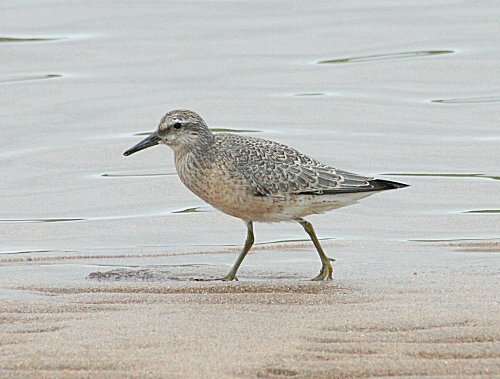 One juvenile Curlew Sandpiper was at Seafield. A male Ruff and a female Hen Harrier were at Lough Donnell. Two Little Egrets were at Ballycorrick Bridge. 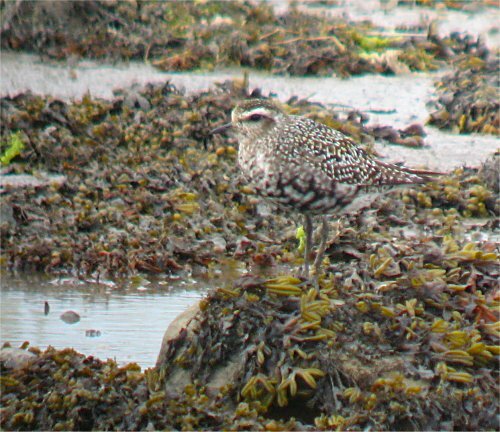 The American Golden Plover was still at Moyasta along with a Spotted Redshank (Howard Willians & Chris Cullen). 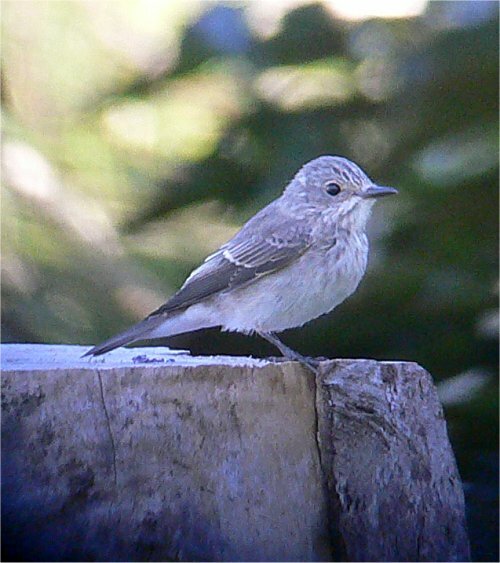 At Loop Head there were six Spotted Flycatchers. One Grey Phalarope, a Peregrine, one Hen Harrier and six Wheatears were at the Bridges of Ross. One Curlew Sandpiper, 20 Dunlin, 20 Sanderling and 30 Bar-tailed Godwits were between Seafield and Quilty Beach. One Ruff and seven Wheatears were at Lough Donnell. 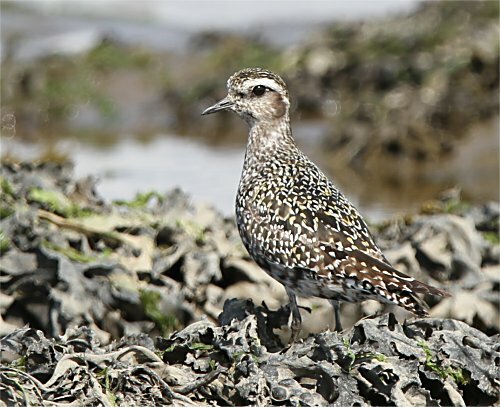 The American Golden Plover, three Curlew Sandpipers and nine Little Egrets were at Moyasta (James Hayes & John N Murphy). 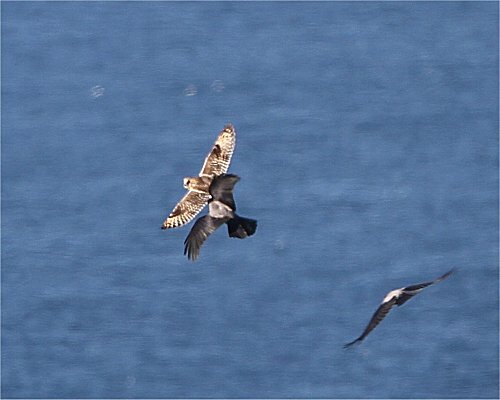 A Marsh Harrier flew in off the sea at the Bridges of Ross, while 15 Lapland Bunting and and one Spotted Flycatcher were around the Lighthouse at Loop Head. Two more Lapland Buntings were on the road to Cloghaun Lough east of Kilbaha. 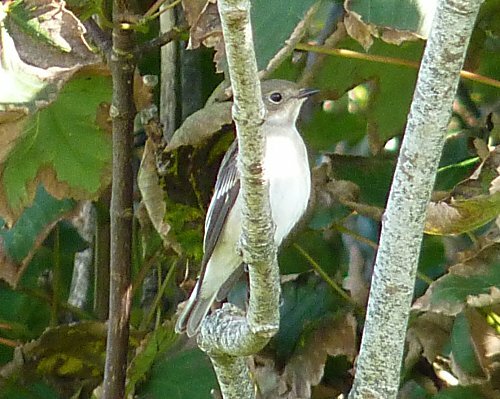 Four Spotted Flycatchers were in the gardens of Kilbaha and a White Wagtail was in the pond in the harbour. 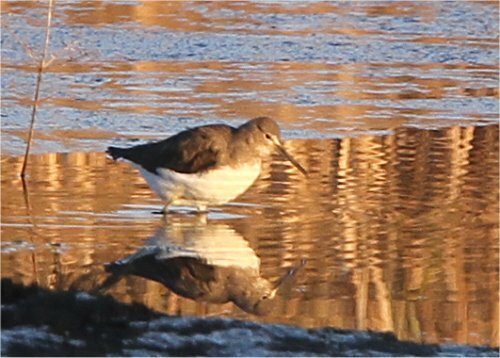 One Green Sandpiper was at the Claureen river attenuation Pond. 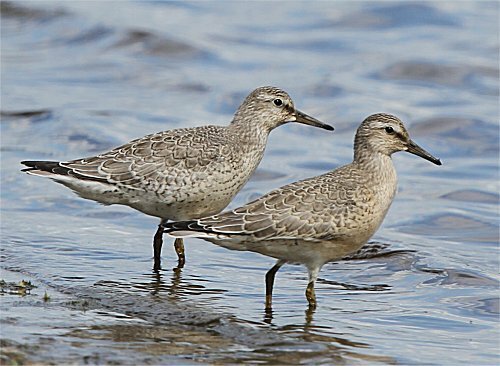 Three Curlew Sandpipers were at Lough Donnell. There were 18 Knot and a Peregrine at Quilty Beach. Two Whimbrel were at Rinneville beach. 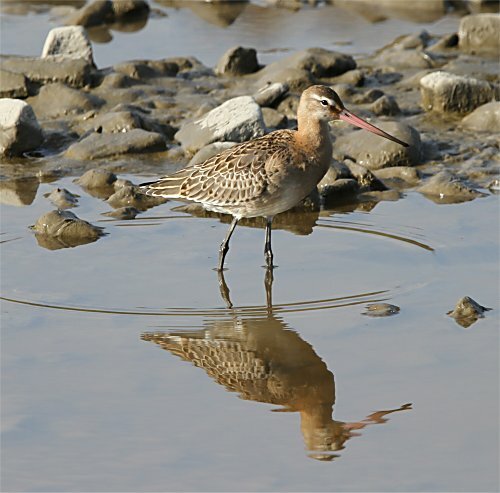 There were 40 juvenile Black-tailed Godwits, 34 Curlew and three Little Egrets at Ballycorrick Bridge. 14 Arctic Terns , 26 Puffins and one Peregrine at the Bridges of Ross. 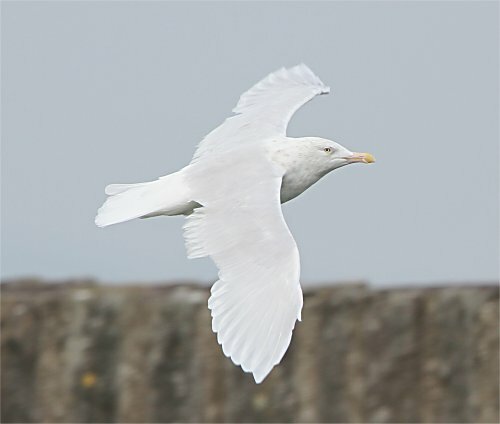 One second year Glaucous Gull flew east over the Bridges of Ross. Shearwater, two Bonxies and 100 Puffins. 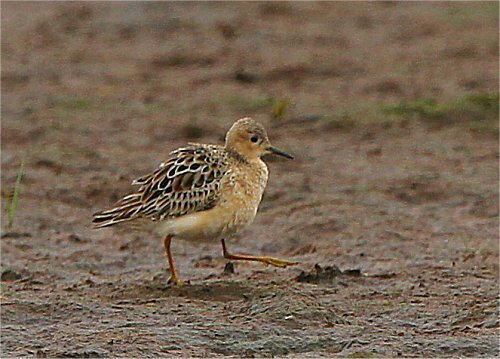 One Ruff was at Seafield, Quilty. 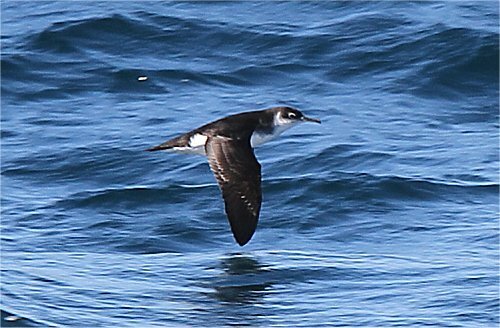 10 Sooty Shearwaters, three Balearic Shearwaters and six Common Scoters. 300 plus Black-tailed Godwits, 200 Redshank and 200 Dunlin. one Black Guillemot and 12 Puffins. At Loop Head there were 22 Chough and 12 Raven. One male Hen Harrier was seen hunting near Cross. One adult Mediterranean gull and three Little Egrets were at Killimer. 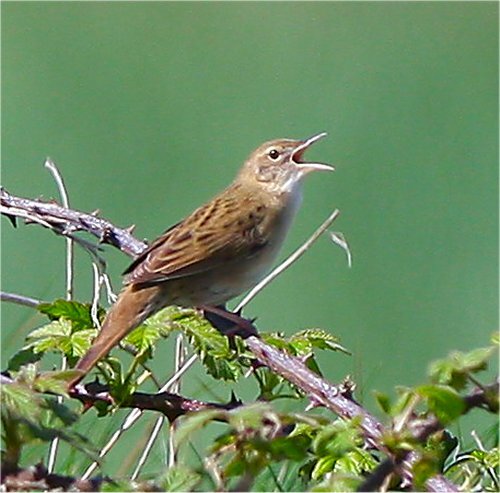 A Grasshopper Warbler was seen at Lissycasey. 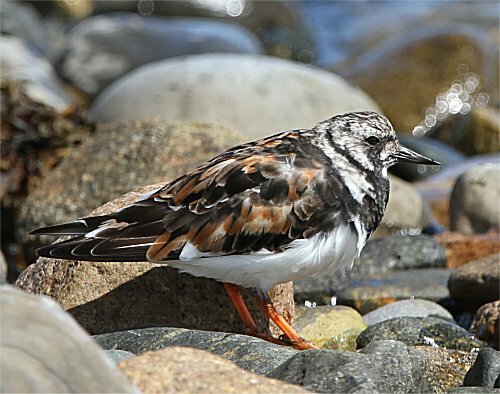 Six Common Sandpipers were at Doonbeg. A flock of 60 Lesser Black-backed Gulls were at Lough Atedaun. 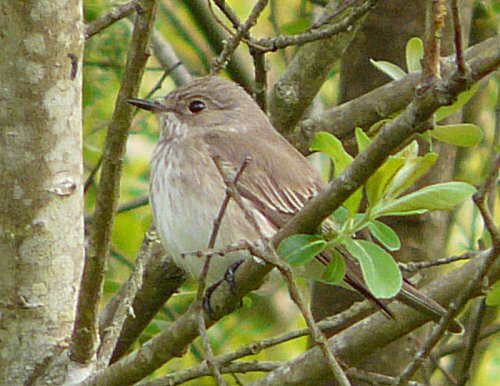 Three Spotted Flycatchers were at Clifden House, Corofin. 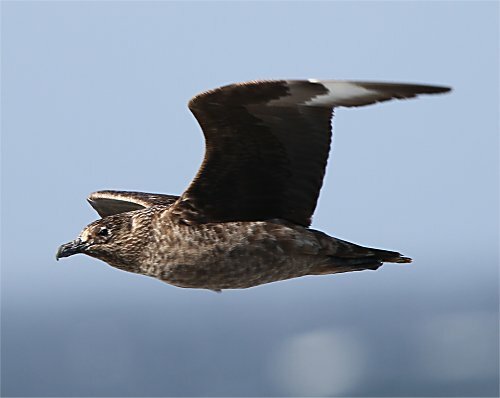 One Great Skua was off the Bridges of Ross. 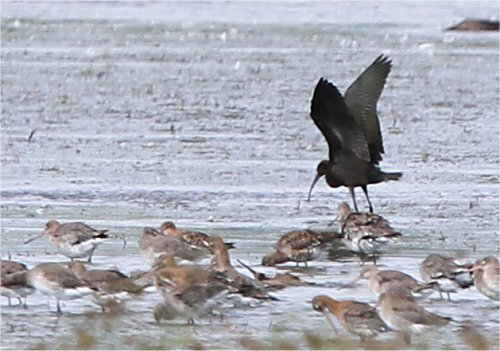 Godwits and one Water Rail. and 18 Puffins off the Bridges of Ross. One Great Northern Diver and one Little Egret were off Finvarra Point. 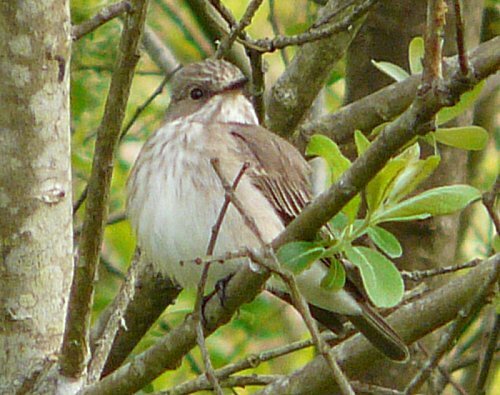 Two Spotted Flycatchers were at the Falls in Ennistymon. 16 Little Egrets were at Shannon Airport Lagoon, this morning. A Jay was showing well along the walking trail at Lees Road Wood this morning. The SPOONBILL was back at the Shannon Airport Lagoon this evening (Clodagh Glasgow & James Hayes). 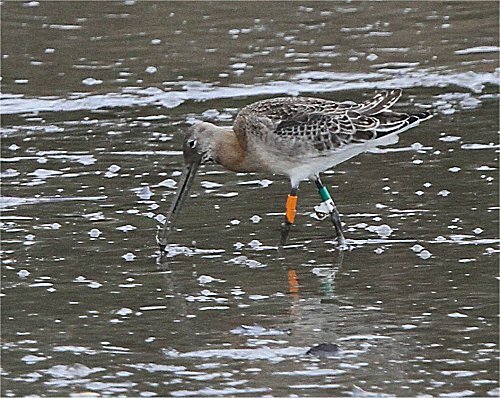 Also at the Lagoon were 200 Black-tailed Godwits and 20 Little Egrets. One Buzzard was at the Lees Road Wood today along with one Blackcap. 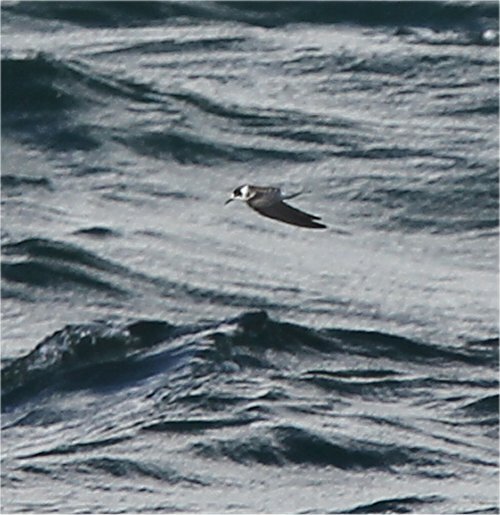 A hundred Manx Shearwater were seen off the Bridges of Ross along with a Storm Petrel. Three Chough, three Raven and a flock of 8 Rock Doves were also at Loop Head Peninsula. and 23 Little Egrets were at the Shannon Airport Lagoon this afternoon. 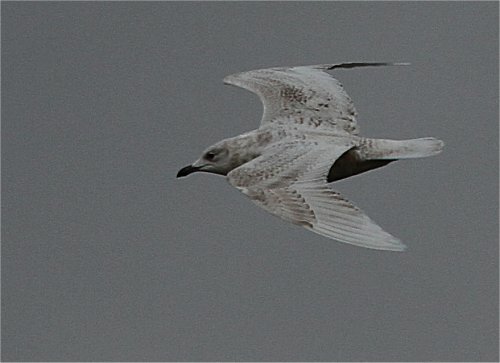 but flew off west towards the Fergus Estuary but returned to the lagoon later in the evening (Clodagh Glasgow) . one Water Rail, the drake Tufted Duck and one Stock Dove. There were five Little Egrets and 28 Little Grebes at Lough Gash, Newmarket-on-Fergus. 30 Little Egrets and the summer plumaged Spotted Redshank. 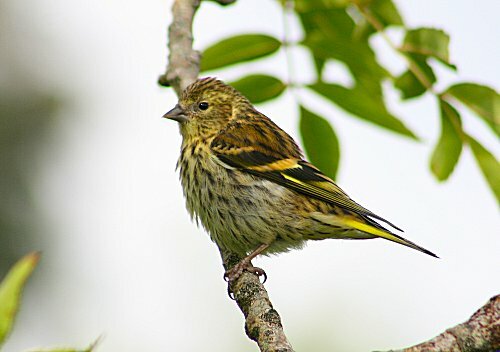 Four Siskins were at Moanreel. two Greenshank, 80 Black-tailed Godwits, 20 Little Egrets and one Stock Dove. A Raven and two male Blackcap were at Lees Road Wood. 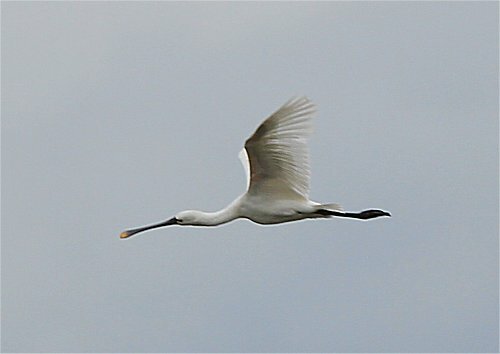 One SPOONBILL flew west over Rineanna Point, Shannon this morning (Jeff Copner). This is only the third county record of this species the last was in 1998.
one drake Tufted Duck and the adult summer plumaged Spotted Redshank. Two Storm Petrels were off Black Head. One Common Sandpiper and a Ringed Plover were at Lough Atedaun. One Jay was in the Caher Valley. 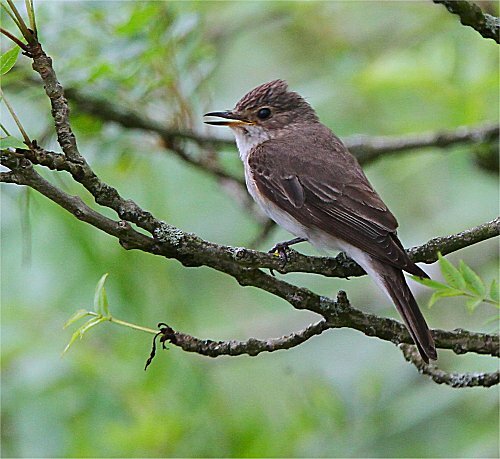 At least 12 Spotted Flycatchers were at the north and south sides of Lough Inchiquin. 120 Black-tailed Godwits and two Water Rails. There was a family party of six Blackcaps at Applewood, Ballycar. Hogans Cross, between Doora and Gurteen (Finbarr McGabhainn). A Black Swan was at Lough Derg. Two Jay and two male Blackcap were at Lees Road Wood. One Blackcap was near Knockaneen. There were four Little Egrets at Lough Muchanagh in the Burren. 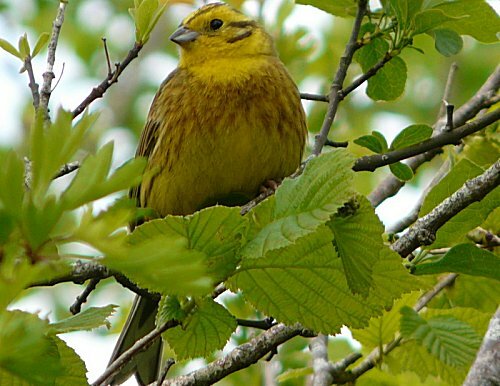 Six Yellowhammers were at the Burren Perfumery. 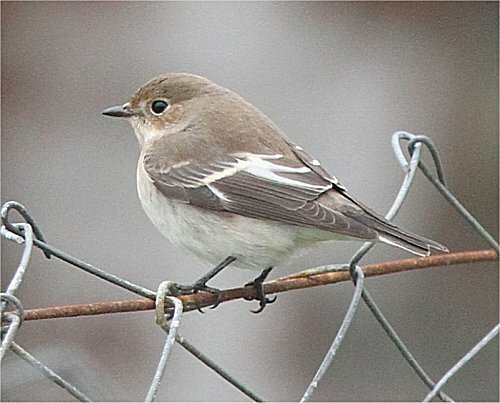 One Spotted Flycatcher and three Blackcaps were at Inchiquin Bridge. A Kingfisher was seen at Club Bridge Ennis. A Jay and two male Blackcap were at Lees Road Wood. The Kingfisher was still in the middle of Ennis today on the River Fergus. 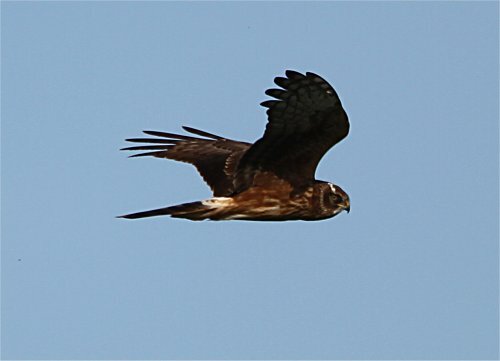 One female MARSH HARRIER was at the Shannon Airport Lagoon this afternoon. One Kingfisher was on the River Fergus in Ennis Town. One Kingfisher and two male Blackcaps were at Blackweir Bridge, the Rine River near Dromoland. One male Blackcap was at Lakyle National School, Whitegate. 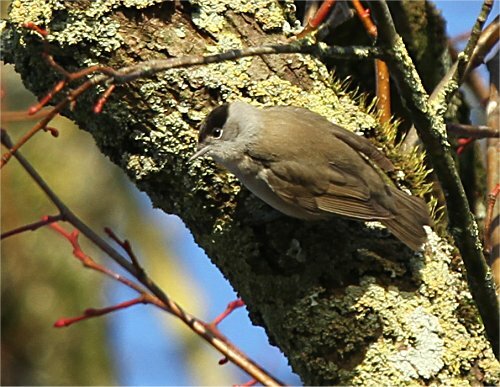 One Blackcap was at Mooghaun Lough, Newmarket-on-Fergus. One Dipper was on the Owenogarney River at Sixmilebridge. A Jay and two male Blackcap were in Lees Road Wood. A Common Crane was seen this evening soaring high in the sky on the east side of Ennis (Stan Nugent). There were 40 Great Northern Divers and one Black-throated Diver off Finvarra Point. A pair of Tree Sparrows are nesting in the old castle on Doonbeg Pier. A pair of Chough and one Peregrine were at Hags Head. Two Chough were at Donegal Point, Doonbeg. 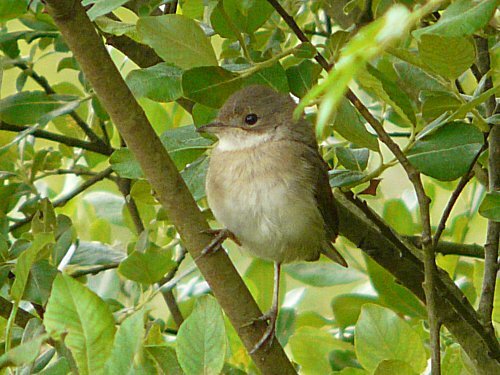 One female Blackcap and two Spotted Flycatchers were at Inchiquin Bridge. The PACIFIC DIVER was off Finvarra Point today (Mark Carmody & John N Murphy). Also at Finvarra Point was one Black-throated Diver and 60 Great Northern Divers. 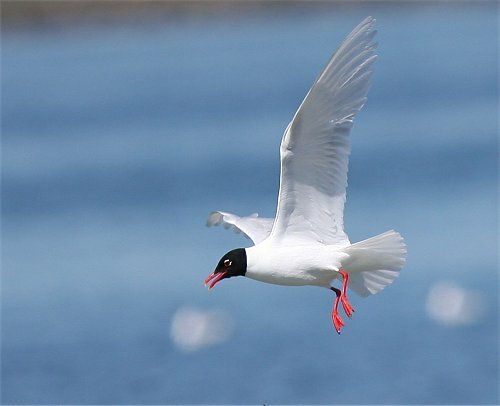 One adult Mediterranean Gull was on the North Clare coast. Four more Little Egrets were at Lough Muckaghnagh. 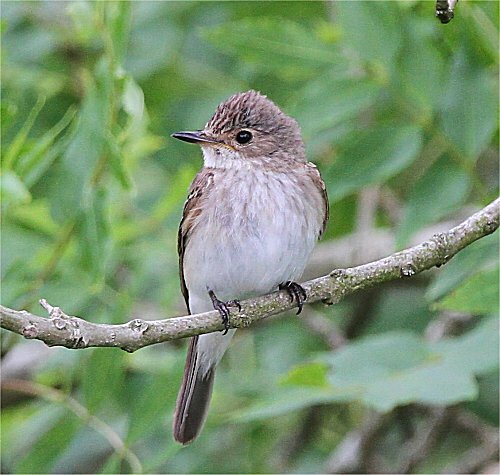 Two Spotted Flycatchers, two Blackcaps and a Jay were at Inchiquin Bridge. 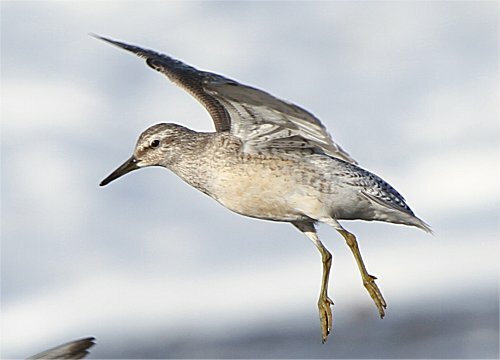 Two Common Sandpipers were at Lough Bunny. Four male Blackcap were at Lees Road Wood this afternoon. Four Yellowhammer and two male Blackcap were in the Mulloughmore area. Two more Blackcap were singing in Ballygriffey Wood. Five Blackcap were singing at Lees Road Wood with two more at Ballyallia. A Merlin was seen near Alliwee Cave. One male Blackcap was singing at Grannaghan Castle, Fenloe Lake. 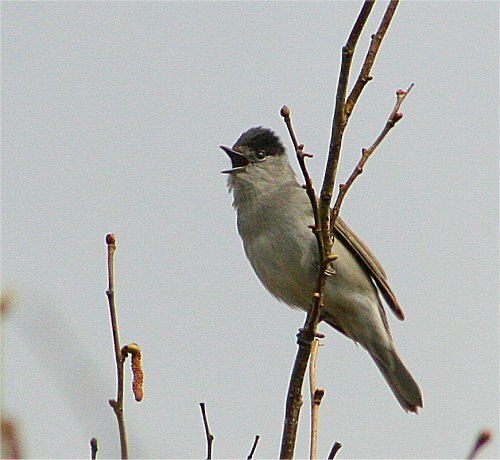 Two male Blackcaps were singing at Applewood, Ballycar. were off the Flaggy Shore (Owen Foley). 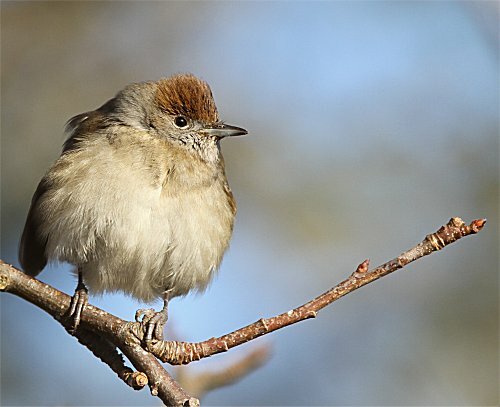 Two Blackcaps were at the Claureen River Attenuation Pond in Ennis. One Blackcap was at Applewood Ballycar along with 16 Whimbrel. A Jay was at Lees Road Wood along with two singing Blackcap. The PACIFIC DIVER was still off Finvarra Point (Jeff Copner). 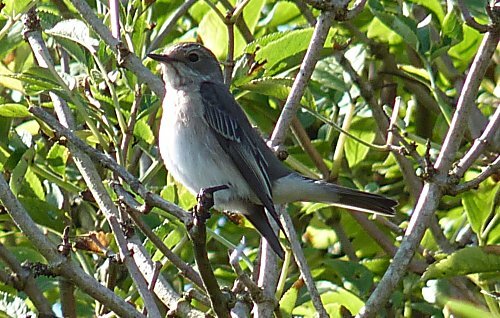 There was one Spotted Flycatcher and one Blackcap at Inchiquin Bridge. Two Blackcaps was at Roxton, Corofin. Two male Blackcaps were at Doo Lough. 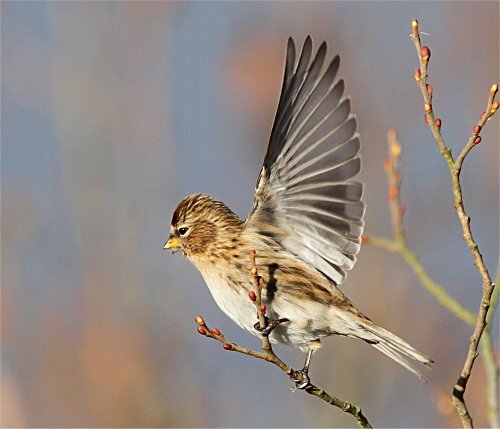 A pair of Yellowhammers were seen with nesting material near Mount Callan. A Jay was at Lees Road Wood along with three male Blackcap. 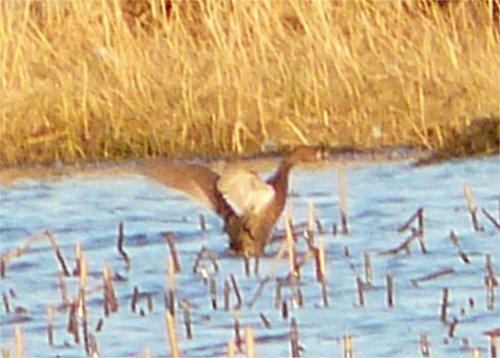 A pair of Gadwall were at Ballyallia along with two male Blackcap. 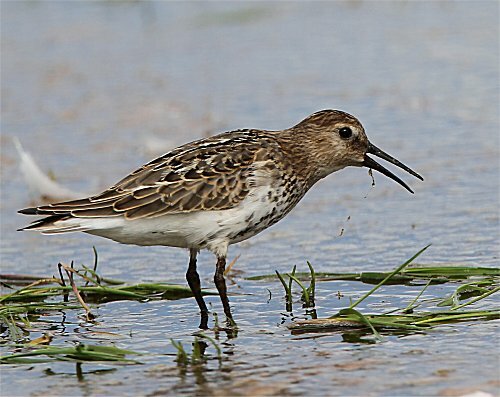 A flock of 308 Dunlin were seen at Islandavanna. 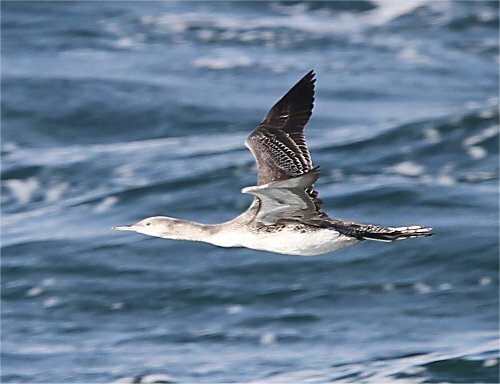 The PACIFIC DIVER was seen off Finvarra Point this afternoon (Dermot O’Mahony). 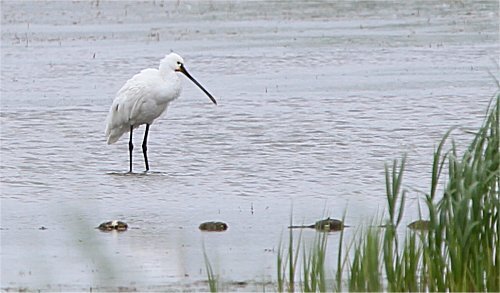 There were five Little Egrets and 136 Dunlin at Shannon Airport Lagoon. Two Blackcap were singing in Dromore Wood. One Blackcap was at Applewood, Ballycar along with 40 Whimbrel. One Whooper Swan and two Wigeon were at Lough Atedaun. One Yellowhammer was near Corifin Village. One Jay was near Lough Bunny. Two male Blackcaps were at Gort Coirce. One Jay was on the Rocky Road Ennis. and two Great Northern Divers at Seafield, Quilty. There were two male Blackcaps and 32 Whimbrel at Applewood, Ballycar. One Spotted Flycatcher and one Dipper were at the Falls near Kilmaley. Forty Whimbrel were at Seafield along with three Great Northern Diver. Three male Blackcap were in Lees Road Wood. There were 14 Whimbrel and two Blackcaps at Applewood, Ballycar. There were also three Chough and two Ravens at Hags Head. and 40 Whimbrel off Finvarra Point. There were 36 Whimbrel and one male Blackcap at Applewood, Ballycar. A White-tailed Sea Eagle was reported over Lough Derg today (David Lyons)?. There were ten Black-throated Divers off Finvarra Point. One Blackcap and 20 Whimbrel were at Applewood, Ballycar. Three Blackcap were singing in Lees Road Wood Ennis. The PACIFIC DIVER re-appeared off Finvarra Point this afternoon (John N Murphy). 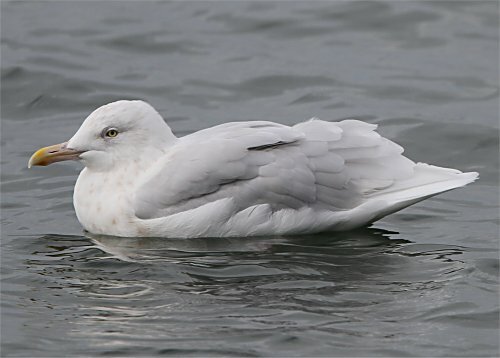 One adult Ring-billed Gull was at Muckinish Bay near Bell Harbour. Also between Finvarra and New Quay there were 80 Whimbrel and 40 Great Northern Divers. 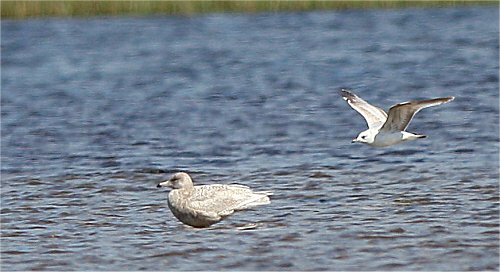 One second year Glaucous Gull was at Lough Donnell. Between Lough Donnell and Quilty there were 160 Whimbrel. 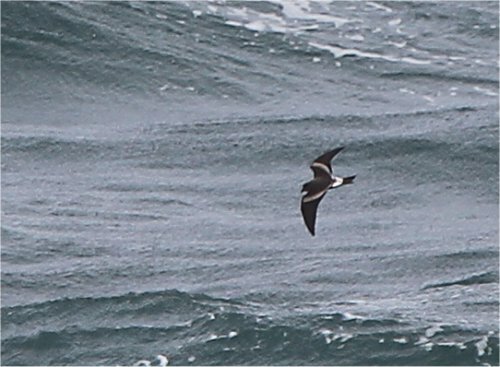 A flock of 500 Manx Shearwaters were off the Bridges of Ross. Ten White Wagtails were at Seafield, Quilty along with four Great Northern Divers. At Loop Head there were two Sedge Warblers, eight Chough and four Ravens. 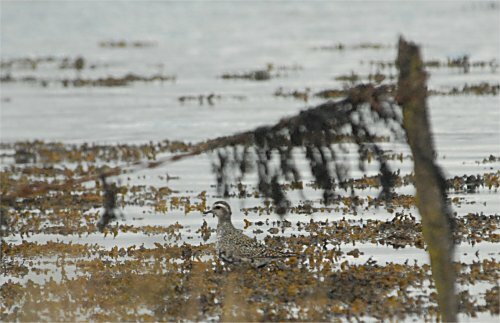 There were 25 Whimbrel at Rineville Bay, Carrigaholt. five Little Egrets at Shannon Airport Lagoon. A flock of 100 Whimbrel, six Sandwich Terns and four White Wagtails were at Clahane. One male Blackcap was singing at Applewood, Ballycar. and 32 Whimbrel flew North-westwards overhead. There were 40 Whimbrel at Ballyvaughan Bay this eveining. One male Blackcap was singing at Applewood Ballycar. Four Blackcap were singing at Lees Road Wood. There were ten Whimbrel at Shannon Town. One Whitethroat, two male Blackcap, a Grasshopper Warbler and a Greylag Goose were at Roxton Corofin. 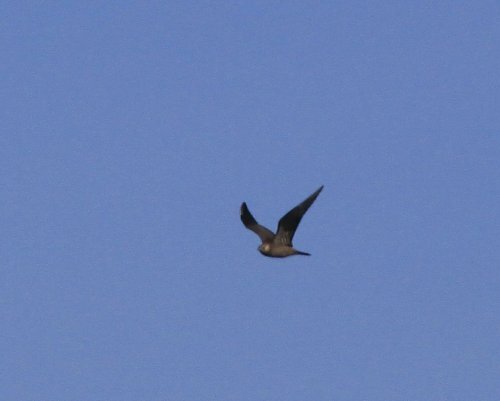 A Swift was flying over Ballyallia Lake this evening. There were up to eight singing Grasshopper Warblers near Doo Lough along with two male Hen Harriers. Four Blackcap were at Lees Road Wood and two more were at Ballyallia. One male Blackcap was singing at Mullaghmore. 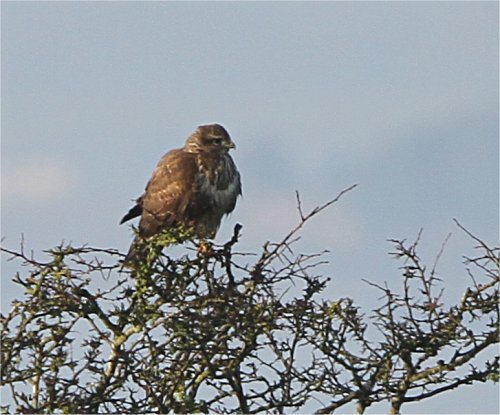 A female Hen Harrier and ywo Ravens were at Mount Callan. A male Ring Ouzel was seen at Doolin (Steve Millar). 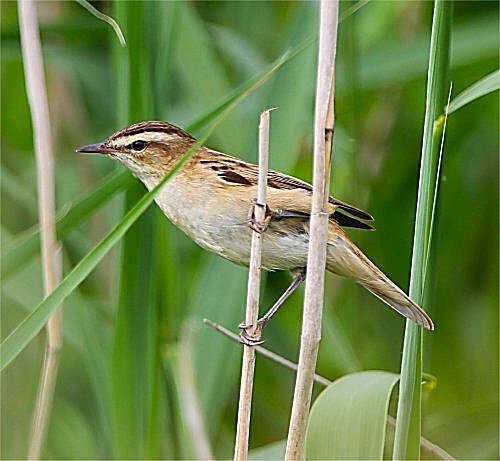 Two Grasshopper Warbler a male Hen Harrier and a Blackcap were at Boolynagleeragh Bog Lissycasey this morning. A Kingfisher was on the Rine River near Newmarket-on-Fergus. Sixty Whimbrel were seen at Doonbeg Bay. A hundred more were at Seafield. Four Blackcaps were singing in Lees Road Wood. 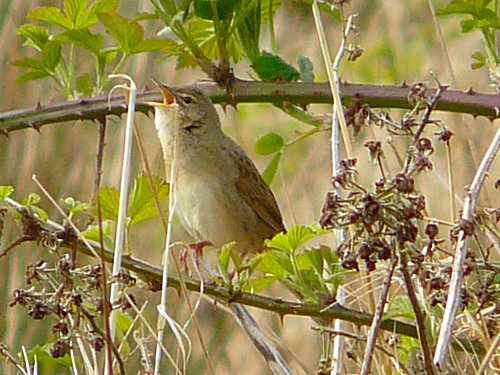 A Grasshopper Warbler was singing close to the old waterworks at Doolough Lake. One hundred and twenty Whimbrel, a White Wagtail and 32 Great Northern Divers were at the Flaggy Shore. Four Yellowhammers were seen at Cappaghmore on the New Line. There were five Blackcap singing in Lees Road Wood this evening. Male Blackcap were also at Roxton Corofin and Gortcoirce Dysart. Two more were seen at Eagles Rock. Six Gadwall were at Lake Inchiquin. A pair of Gadwall were at Ballyallia Lake. Nine Yellowhammer were reported from Mullaghmore. A Merlin and eight White Wagtail were at Seafield. 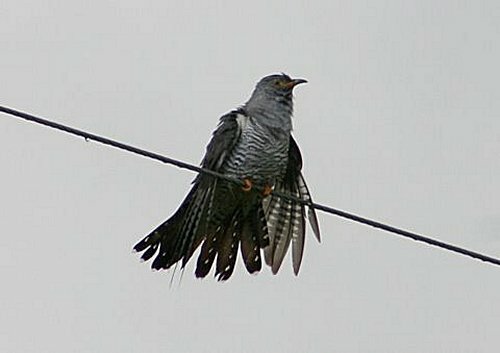 Five Cuckoo were seen in the Doolough/ Mullagh area. 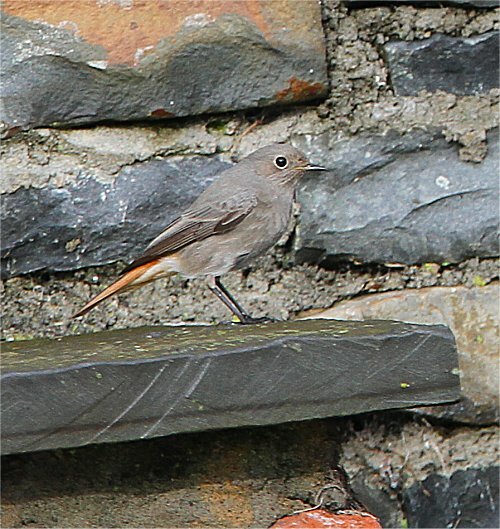 A female Black Redstart was seen in a garden in Cahermurphy, Kilmihil. A Glaucous Gull and a White Wagtail were at Lough Donnell. A male Blackcap was at Ballyallia. 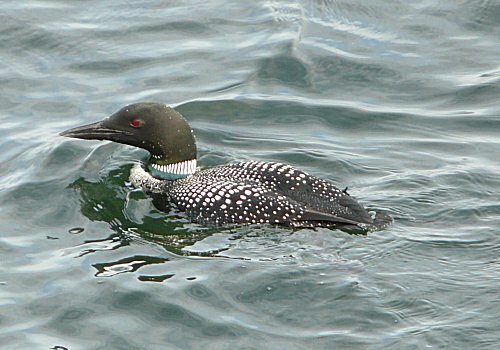 Sixty Great Northern Diver and forty two Whimbrel were seen in the same area. A pair of Scaup and three Blackcap were seen at Ardclooney. Two Little Egret and three White Wagtail were at the Shannon Airport Lagoon. 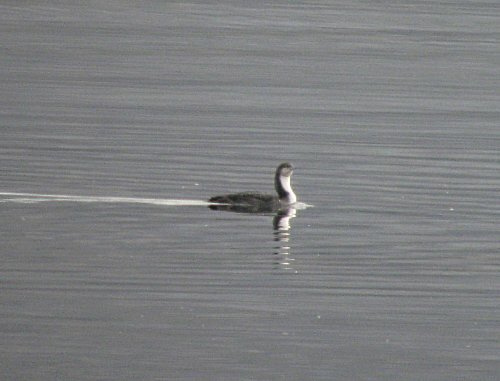 One Red-necked Grebe and a Black-throated Diver were seen north of Corconroo. Nine Yellowhammer and three Blackcap were at Mullaghmore. Four more were seen close to the Burren perfumery. Three Blackcap were at Rinnamona Kilnaboy and another at Clifden Hill. Two more were singing at Lees Road Wood. Five White Wagtail were seen at Clahane. A Peregrine was at Eagle’s Rock. Two Kingfisher were seen at Dromoland. 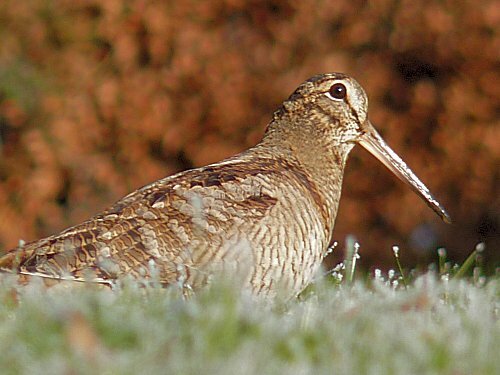 A female Hen Harrier and five Woodcock were in Mullagh. 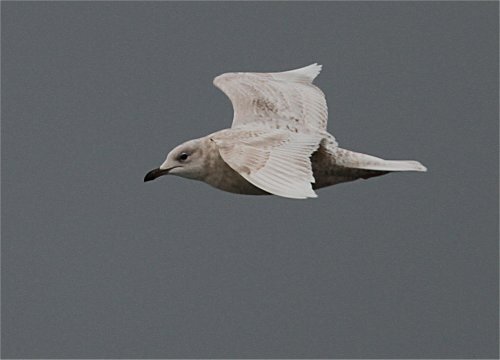 along with one second year Glaucous Gull. Two Blackcap were singing in Lees Road Wood this evening. Another was heard at Ballyallia Lake. Five Black-throated Diver,15 Red-throated Diver,10 Whimbrel and one adult Mediterranean Gull were seen close to Corconroo on the Clare Galway border. 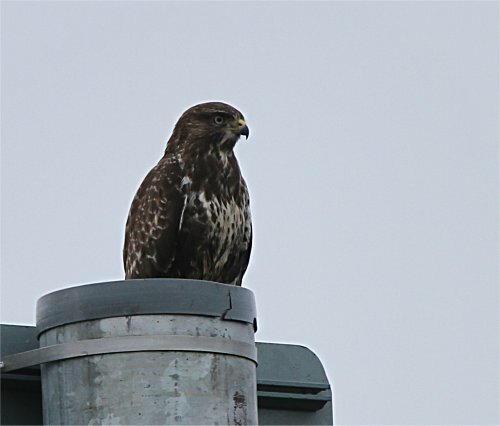 Two Buzzards were near Kilbane, Broadford. A Blackcap was singing at Ballyallia this evening. and three Water Rails on Ballycar Lough. A Raven was seen at Larchill Ennis. 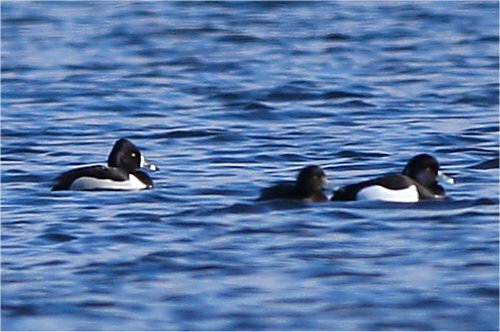 the male and female Scaup and five Goldeneye. Four Common Terns were at Poulnasherry Bay along with three Little Egrets and 40 Brent Geese. There were seven Yellowhammers at Mullaghmore. One Little Egret was at Lough Onchiquin. 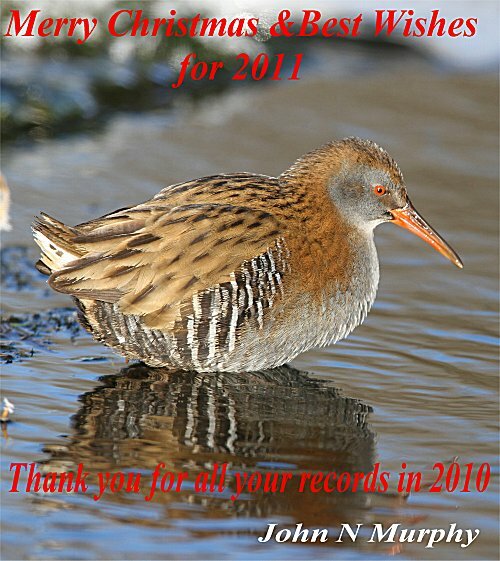 Three Water Rails and one Melin were at Rinnamona, Kilnaboy. One male Blackcap was at Ballyea, Inagh. One male Blackcap was at Rath Lake, Corofin. One male Blackcap was just south of Killaloe. One male Blackcap was at Applewood, Ballycar along with two Greylag Geese. There were 12 Whooper Swans at Ballygireen. One drake Eider was at the Flaggy Shore along with one Black-throated Diver. There were 100 Brent Geese between Ballyvaughan and the Flaggy Shore. Four Yellowhammers were at Mullaghmore, the Burren. One male Blackcap was at Moys, Killaloe. A male and female Scaup were at Ardclooney. 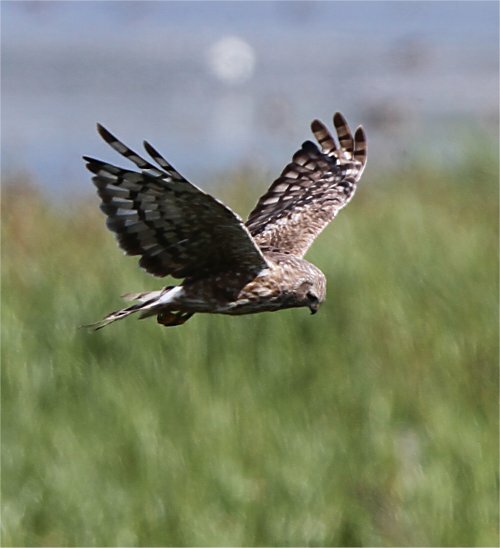 One female Hen Harrier was at Woodcock Hill. One male Blackcap was singing at Applewood, Ballycar and a late redwing was also at Applewood. Greylag Geese flew east over the area. 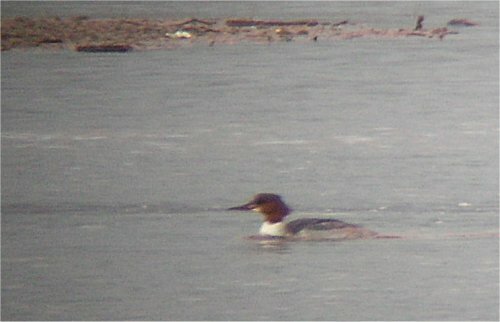 The female GOOSANDER was still at Ardcloony (Clodagh Glasgow & James Hayes). There were two Black-throated Divers and 27 Brent Geese at the Rine, Ballyvaughan. One Little Egret was at Skeghanagh, Clarecastle. Another male Blackcap was singing at Lough Atedaun. One male Blackcap was singing at Rath Lough. There were 15 Yellowhammers at Mullaghmore in the Burren. Ten Whooper Swans were at Knockaunroe, Corofin. Doorus near the Clare/Galway border (Dave McNamara). There were 69 Great Northern Divers off Black Head. heading in the direction of Corofin (Darren Reddington). The drake Green-winged Teal was still at Burrin Lake (Tim Griffin). There were 20 Black-throated Divers off the Flaggy Shore. male Blackcap was singing on site all day. The PIED-BILLED GREBE was still at Lough Atedaun (James Hayes & Clodagh Glasgow). 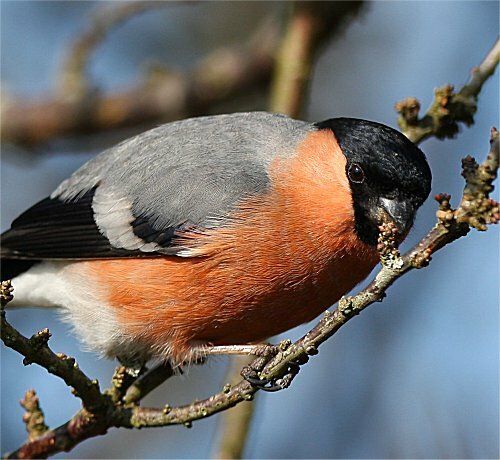 There were also a mixed flock of 100 hirundines at Lough Atedaun. along with one House Martin and a mixed flock of hirundines. One first-winter Iceland Gull and 78 Brent Geese were at Clahane. Seven Little Egrets and four Water Rails were at Shannon Airport Lagoon. Four Yellowhammers were at Mullaghmore. Two Dippers were at the Falls in Ennistymon. 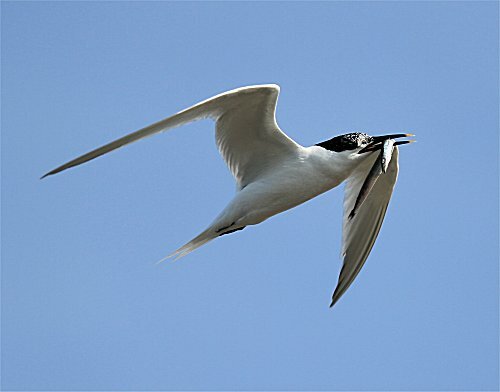 Seven Sandwich Terns were between Finvarra Point and Doorus. A flock of 90 Brent Geese were near the graveyard at Lisscannor. There was a pair of Long-eared Owls at Crusheen this evening. 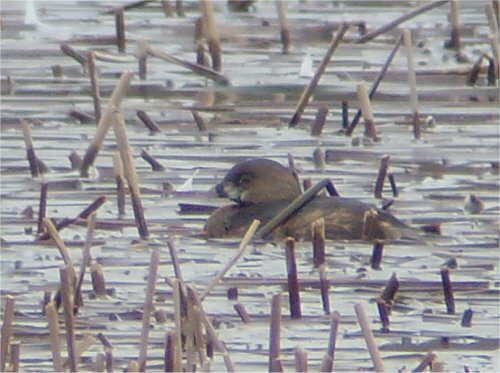 The PIED-BILLED GREBE was still at Lough Atedaun (Josh Jones). The drake Green-winged Teal was also still at Burrin Lake (Josh Jones). 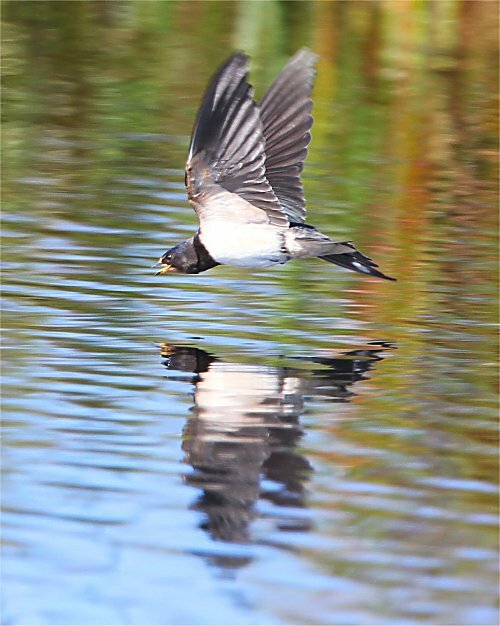 One Swallow was at Ballyallia Lake. A flock of 250 Lesser Black-backed Gulls and one Peregrine were at Lough Donnell. 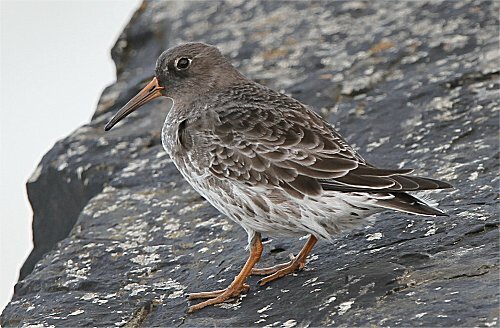 Over 70 Purple Sandpipers were at Seafield, Quilty. 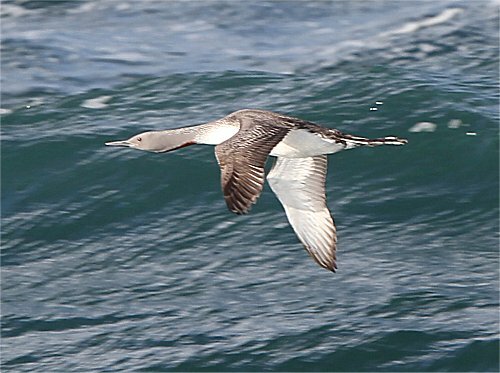 The PACIFIC DIVER was off Finvarra Point (Pat Lonergan, Dermot Breen et al). One drake Green-winged Teal was at Burrin Lake. (Pat Lonergan). There were 30 Black-throated Divers off the Rine, Ballyvaughan. 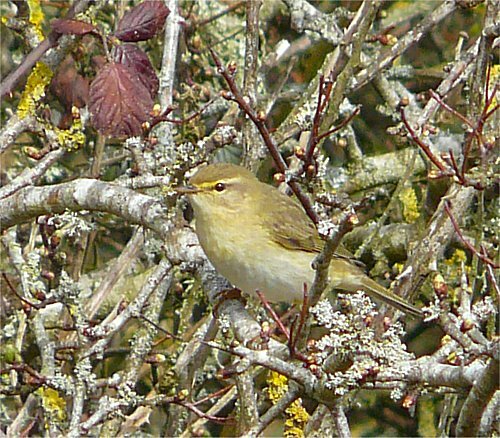 One Chiffchaff was singing at Applewood, Ballycar. 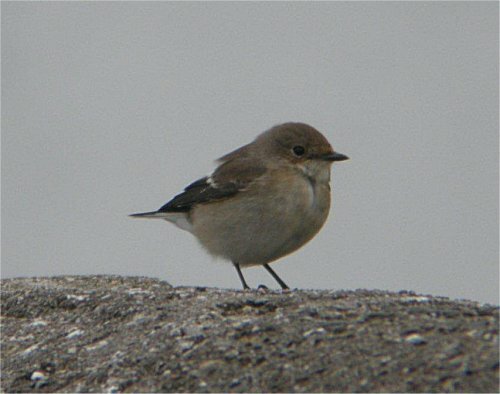 Two Wheatears were at Mullaghmore, the Burren. and 5-6 at Mullaghmore in the Burren. 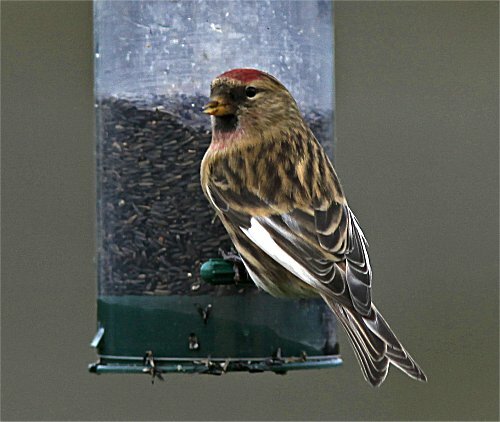 These were the first for the year in the county. 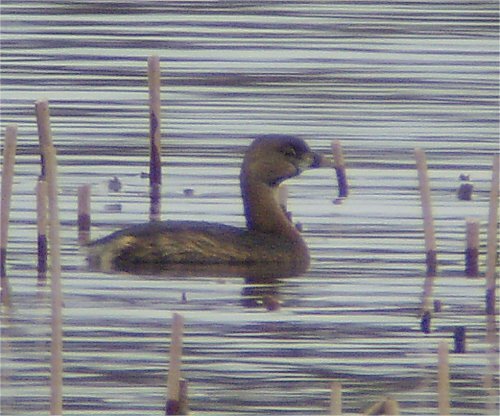 The PIED-BILLED Grebe was at Lough Atedaun, Corofin (James Hayes & Clogdagh Glasgow). 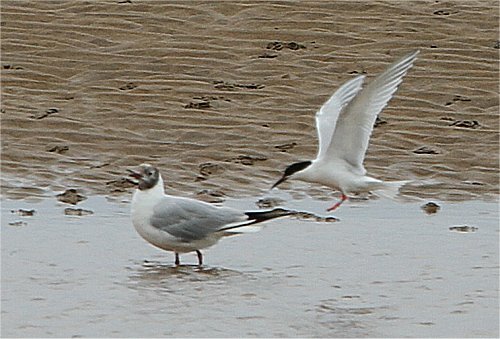 There were three Sandwich Terns at New Quay. Four Black-throated Divers and 25 Great Northern Divers were off Finvarra Point. Divers and six Long-tailed Ducks off the point. 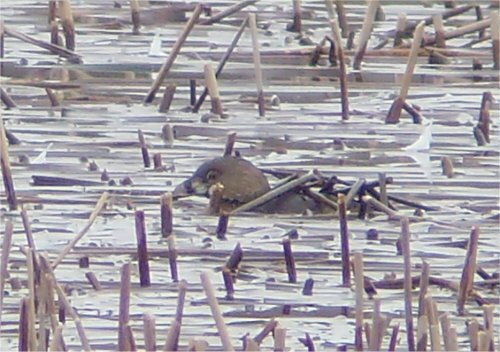 The PIED-BILLED GREBE was still at Lough Atedaun (Conor Foley). 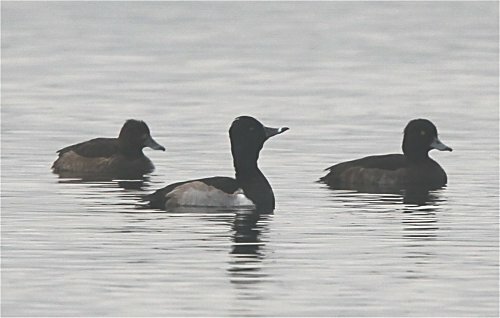 The drake Ring-necked Duck was still at Kilkee Resrvoir (Christy Meehan). 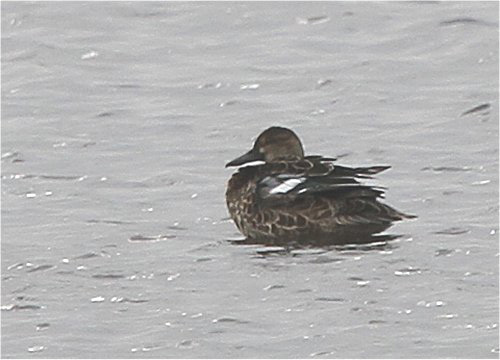 One drake Green-winged Teal was also still at Burrin Lake near New Quay (Conor Foley). A Red-necked Grebe was off Doorus Pier near the Clare/Galway border. 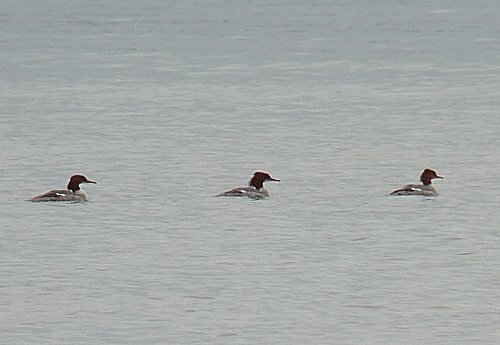 90 Red-breasted Mergansers at Aughinish. 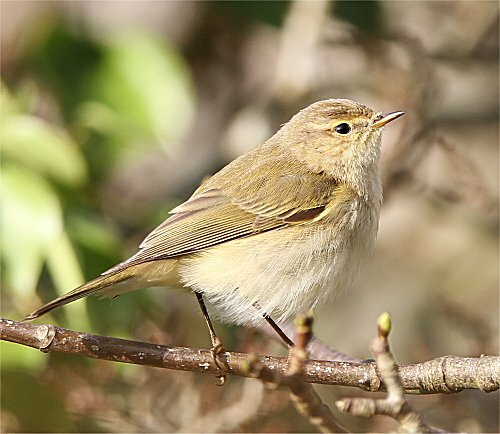 One Chiffchaff was a Clifden Hill, Corofin. 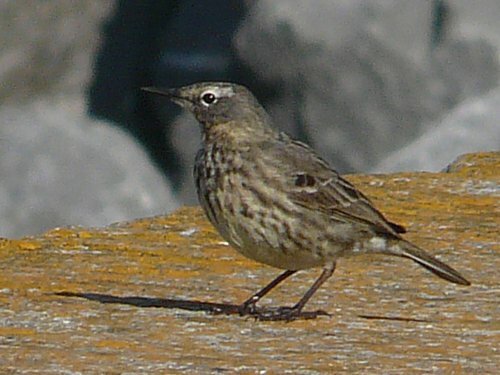 One Scandinavian Rock Pipit was at Clahane. 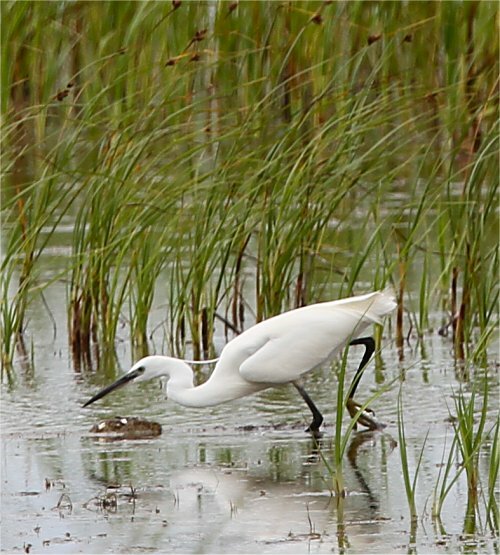 One Little Egret was at Clonlara. There were six Wheatears at Chimney Bay, Kilkee. One Swallow was on the Tulla Road, Ennis and another at Drehidnagower Bridge. Puffins returned today to Goat Island off the Cliffs of Moher. The PIED-BILLED GREBE made a brief appearance this evening in the left hand corner of Lough Atedaun (Jeff Copner). 20 Sandmartins, two Swallows, two Chiffchaffs, one Kingfisher, two Scaup and 50 Tufted Ducks. Five Sandwich Terns and a Wheatear were on the Flaggy Shore. 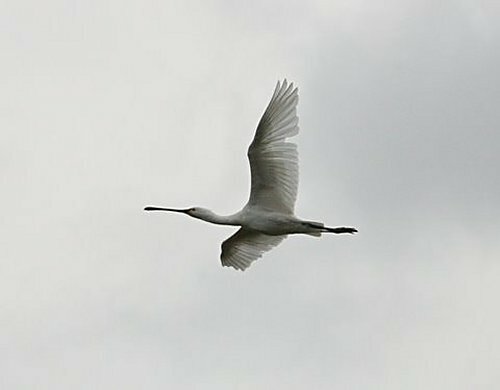 Four Little Egrets were at Shannon Airport Lagoon. One Woodcock was at Granaghan Castle, Fenloe Lake. 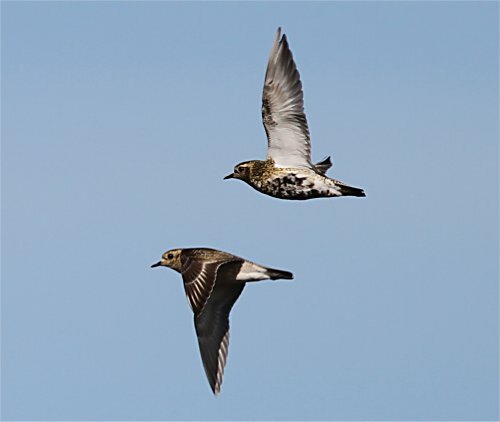 There were 500 Golden Plover at Lahinch Bridge and Marsh. ringed Redshank (Red over white/pale green). Red-necked Grebe, 50 Tufted Ducks, two Scaup and one Kingfisher. The drake Green-winged Teal was at Burrin Lake, New Quay (Mark Carmody). 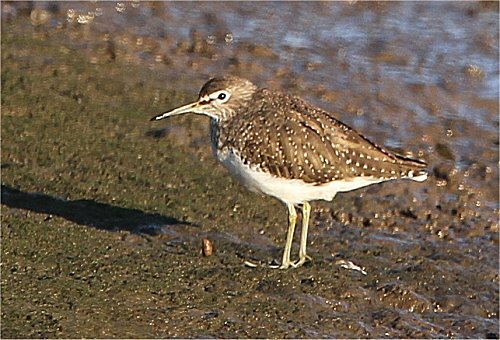 One Common Sandpiper was at the Quay at Clarecastle. 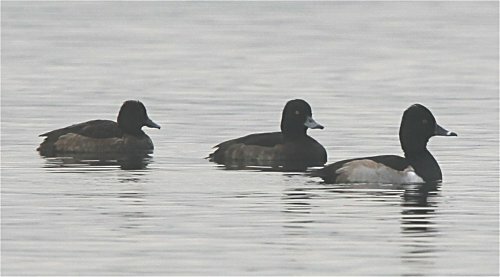 A hundred and sixty Tufted Duck were at Ballyallia Lake. One Red Grouse and a Crossbill were at Maghera. There was one Jay at O’Briens Bridge. Another Jay was just outside Killaloe. with another fock of 20 were seen at Drehidnagower Bridge. The PACIFIC DIVER was at Finvarra Point (Brian Finnegan, Austin Cooney, Tom & Nuala Lynch et al). The drake Green-winged Teal was still at Burrin Lake (Tom & Nuala Lynch et al). One drake Eider was at New Quay. One Green Sandpiper was at Ballycorrick Bridge, near Ballynacally. Sand Martins were seen at Ballyallia Lake today, the first for the year in Clare. One Jay was at Ballynacally Village. Two Jays and five Wodcock were at Clifden Hill, Corofin. 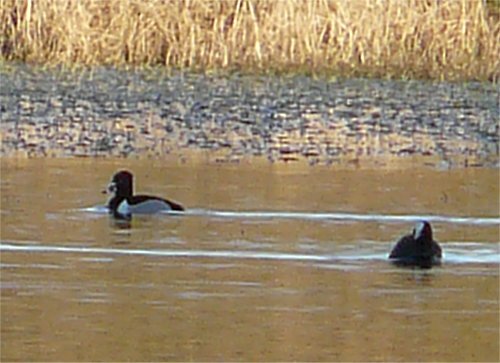 Thee was a pair of Scaup and up to 60 Tufted Ducks at Ardcloony on the Shannon River. 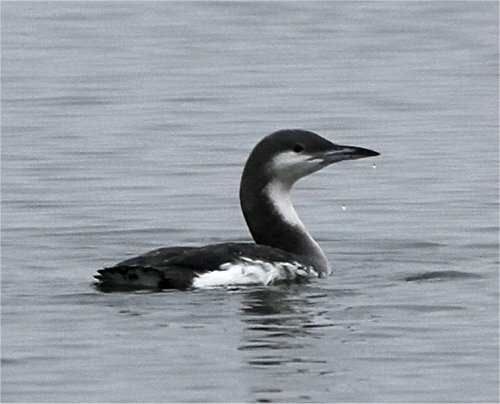 The PACIFIC DIVER was off Bishops Quarter, Ballyvaughan Bay (Michael Cowming, Colum Flynn et al). The drake Green-winged Teal was at the Turlough near Tulla the Burren (Dave McNamara). One drake Green-winged Teal was at Burrin Lake, New Quay (Michael Cowming et al). A Red-necked Grebe was at Doorus Pier on Clare/Galway border. There were eight Black-throated Divers at Ballyvaughan while 17 were off Finvarra Point. Two Black-throated Divers were off Aughinish. One drake Eider was at Finvarra Point. 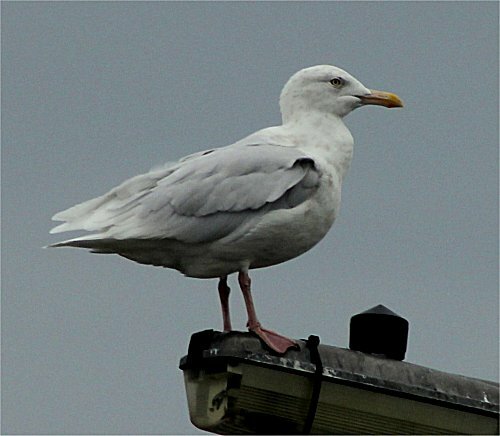 One second-winter Ring-billed Gull was at Bell Harbour. Two Little Egrets and 20 Whooper Swans were at Lough Atedaun. One Little Egret was at Islandavanna, Clarecastle. The PIED-BILLED GREBE was on show again at Lough Atedaun (Dominic Mitchell, Chris Harbard & Roy Beddard). 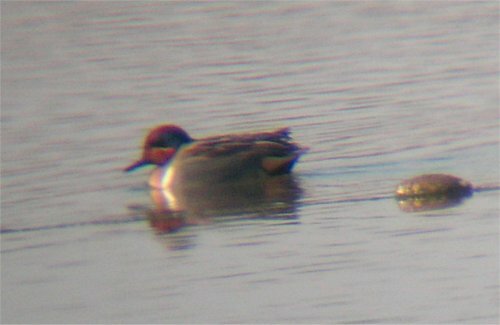 The drake Green-winged Teal was at Burrin Lake near New Quay (Dominic Mitchell, Chris Harbard & Roy Beddard). The PACIFIC DIVER was at Finvarra Point again today (Harry Hussey & John Lynch). 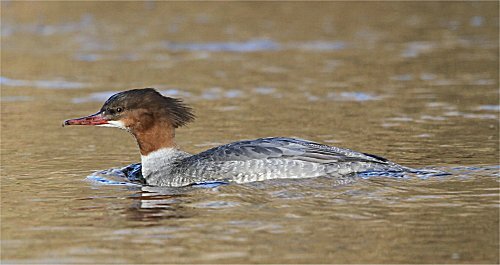 The female GOOSANDER was also back at Ardcloony on the Shannon River (Paul Troake). A drake Green-winged Teal was at Burrin Lake near New Quay (Harry Hussey & John Lynch). The PACIFIC DIVER was in Ballyvaughan Bay today (Jeff Copner, Christy Meehan & Austin Cooney). 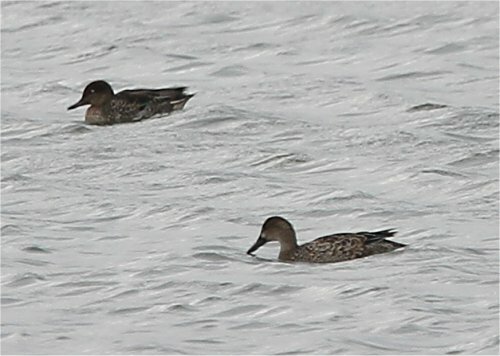 The drake Green-winged Teal was still at the Shannon Airport Lagoon (Dominic Mitchell, Chris Harbard & Roy Beddard). There was a male Blackcap at Oak Park Ennis this morning. The PACIFIC DIVER was still present this morning off Finvarra Point (Colin McNamee). There were eight Crossbills and 60 Siskins at Kilnacreagh Wood east of Sixmilebridge. 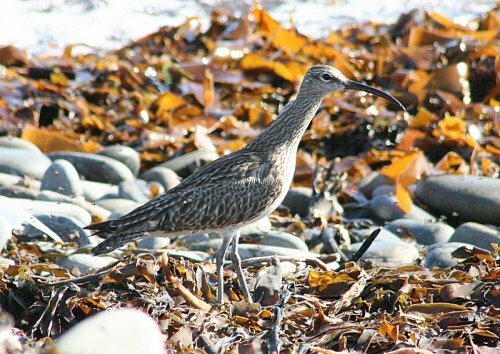 One Whimbrel was at Doonbeg. A flock of 48 Barnacle Geese were at Illaunonearaun with two Chough near Moveen. Ten Little Egrets were at the Shannon Airport Lagoon with a flock of 210 Black-tailed Godwits. 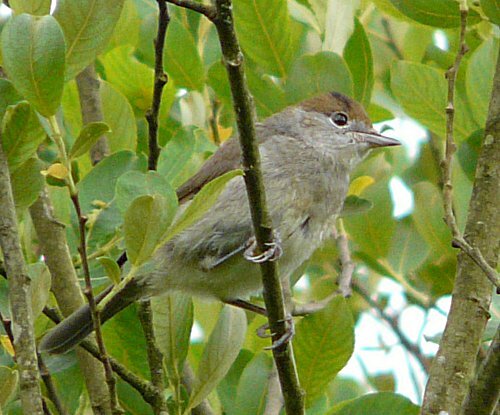 A male and female Blackcap were at Oak Park Ennis. The PACIFIC DIVER was once again off Finvarra Point (Dave Fox & Paul Keogh). A drake Ring-necked Duck was at Kilkee Reservoir (John N Murphy & Finbarr McGabhann). 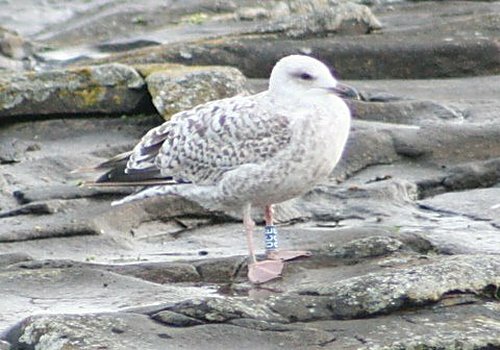 The second-winter Ring-billed Gull was still at Bell Harbour. There were two Spotted Redshanks and five Black-throated Divers at Finvarra Point. 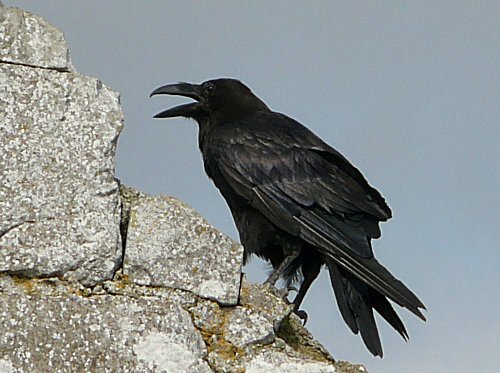 A pair of Carrion Crows were near Killard, Cross on the Loop Head peninsula. A Barn Owl waqs heard calling near Moanreel for 2 hours after dusk. There was one Whimbrel a Cloghaun Lough, Loop Head. 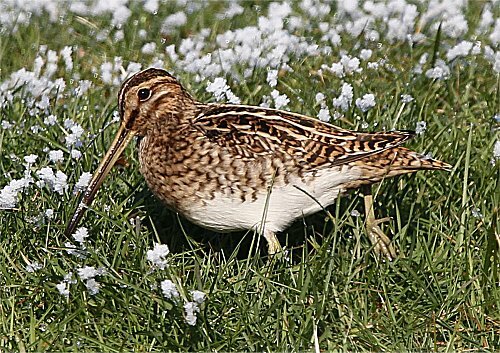 One Jack Snipe was at the tip of Loop Head Lighthouse. There were three Little Egrets and 80 Shelduck at Poulnasherry Bay. A flock of 140 Barnacle Geese were on Mattle Island. 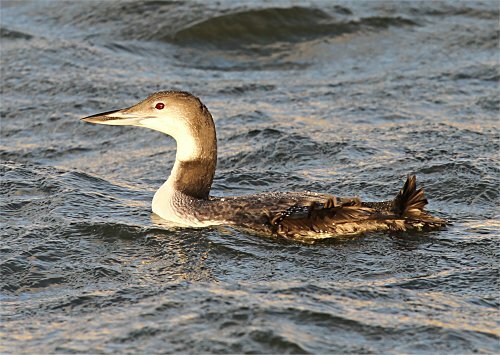 There were 14 Red-throated Divers at Doughmore Bay, Doonbeg. A flock of 40 Whooper Swans were just outside Kilkee near the Reservoir with one Greylag Goose. There were 45 Cormorants nesting on Illaunonearaun south of Kilkee. 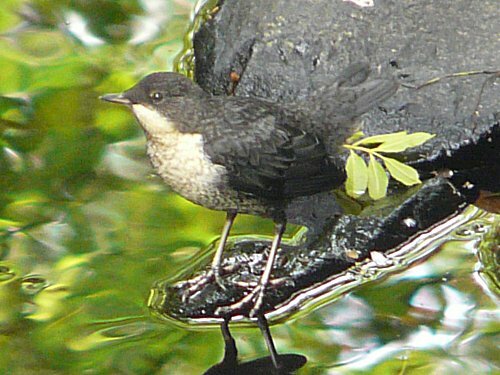 One Dipper was on the River Fergus at Clifden Hill. There were six Woodcock at Gort Coirce, Dysert. The PACIFIC DIVER was off Finvarra Point again today (Aidan Kelly, Victor Cashera, Tom Shevlin et al). along with 16 Little Egrets. the New Line Road between Tubber and New Quay (Dave McNamara). 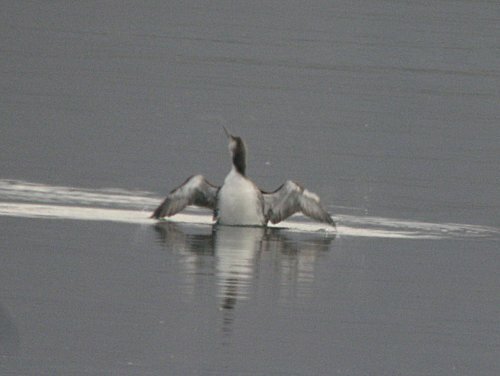 Six Black-throated Divers were at the Flaggy Shore. 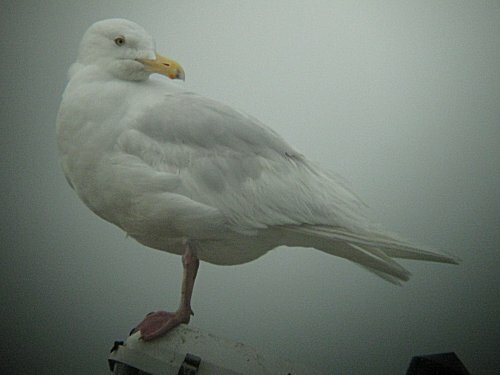 One adult Yellow-legged Gull was at Aughinish. 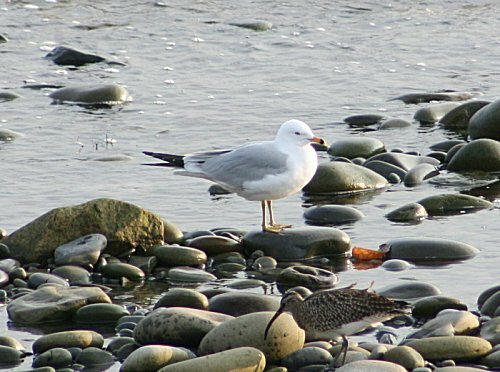 A second-winter Ring-billed Gull was at Bell Harbour. The first Wheatear of the year was at Georges Head, Kilkee. 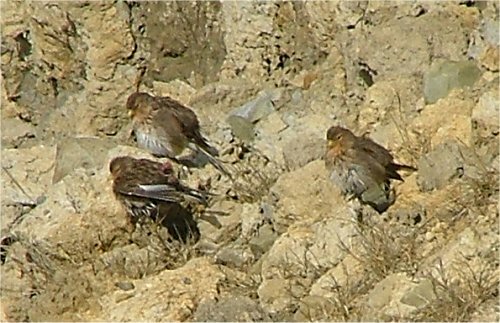 Three Twite were on the cliff walk near Dunlicky Kilkee this morning. A flock of 53 Whooper Swans were near Kilkee Reservoir. Five Little Egrets were at Ballyallia Lake, Ennis. One Peregrine was at Lough Atedaun. of the lake and slipway (Dave McNamara). A male Hen Harrier and a Woodcock were at Gort Coirce. There was a flock of 27 Whooper Swans at Lough Cullane. Over 60 Whooper Swans were still in fields near Ballygireen. A small party of 22 Greylag Geese were in fields near Lough Muchanagh. There were two Greylag Geese over Applewood, Ballycar. There were over 60 Whooper Swans at Ballygireen, Newmarket-on-Fergus this morning. A flock of 140 Sanderling were at Seafield, Quilty, two of which were colour ringed. James Hayes, Howard Williams & Dave McNamara). along with 19 Little Egrets, eight Water Rails and one Peregrine. The drake Green-winged Teal was at Bell Harbour (Joe Donaldson). 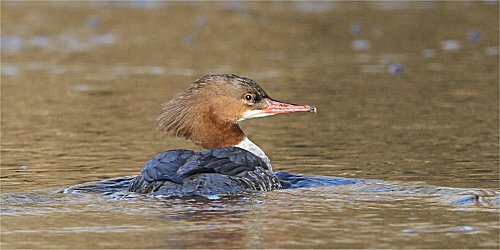 A female GOOSANDER was at Ardcloony, above the Weir, North of O’Brien’s Bridge on the Shannon River (Paul Troake). This is only a fourth record for the county. 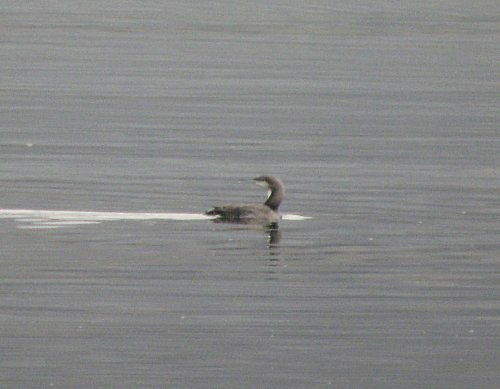 There were five Black-throated Divers at Finvarra Point. The PACIFIC DIVER was back at Finvarra Point this morning (Jeff Copner). The PIED-BILED GREBE was still at Lough Atedaun (John N Murphy, Will Soar et al). The PACIFIC DIVER is still at the inner bay at Finvarra Point this morning (Kieran Grace et al). The PIED-BILLED GREBE was at Lough Atedaun earlier this morning and late this evening (Jeff Copner & Dave McNamara). One adult male and one immature Eider were off the Flaggy Shore, New Quay. 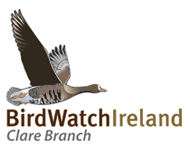 There were 86 Black-throated Divers between Black Head and Aughinish Island. and the Flaggy Shore along with one Merlin close to the Martello Tower at Finvarra Point. Three Woodcock were at Clifden Hill, Corofin. Finbarr McGabhann, James Hayes, Clodagh Glasgow et al). by Michael Davis off the Galway coast some weeks ago. 200 Great Northern Divers, 28 Long-tailed Ducks, 60 Black Guillemots and 120 Brent Geese. 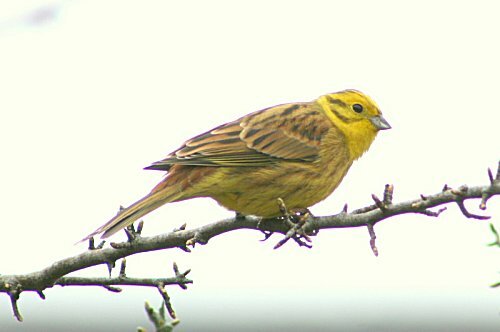 There were three Yellowhammers at Mullaghmore in the Burren. There were eight Woodcock at Clifden Hill. One Merlin was at Rath Lough, Corofin. 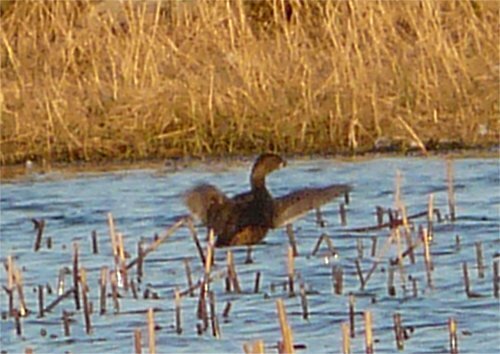 A PIED-BILLED GREBE was seen just before sunset at Lough Atedaun (Dave McNamara). 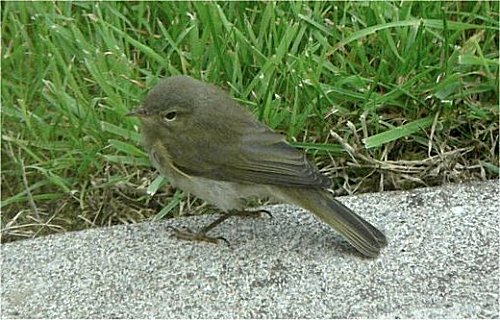 This is only the second Clare record of this rare North American vagrant. The drake Green-winged Teal was at Bell Harbour (James Hayes). Long-tailed Ducks off Doorus Pier on the Clare/Galway border this morning. 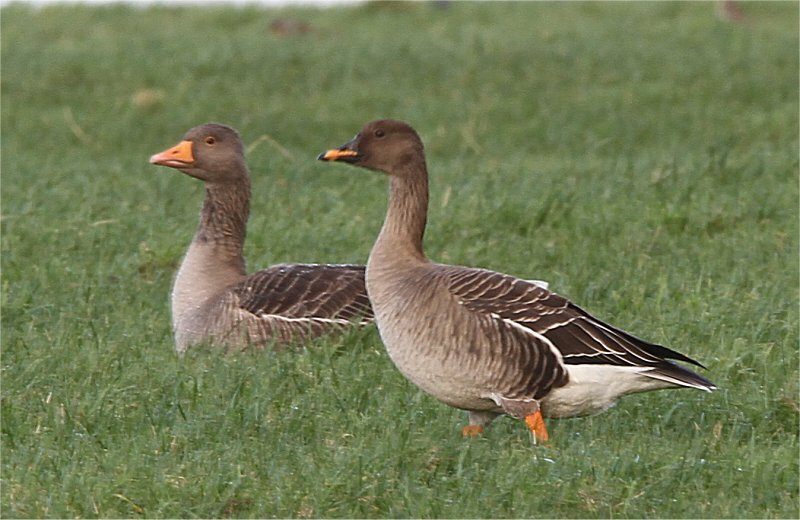 Two Greylag Geese were at Applewood, Ballycar. 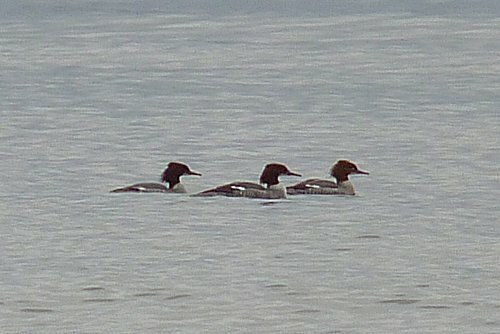 There were two Long-tailed Ducks and 20 Red-throated Divers off Aughinish. Three Jays were at Clifden Hill, Corofin. One Woodcock was at Lough Bunny. There was a flock of 20 Whooper Swans at Lough Cullaun, the Burren. Five Greylag Geese and a Water Rail were at Ballycar Lough. Six Ravens were at Boston Castle. There was a Green Sandpiper at the Falls in Ennistymon. One male Hen Harrier was at Ballyeither Lough. A flock of 43 Greenland White-fronted Geese were at Lough Muachanagh. One Peregrine was at Lough Donnell. 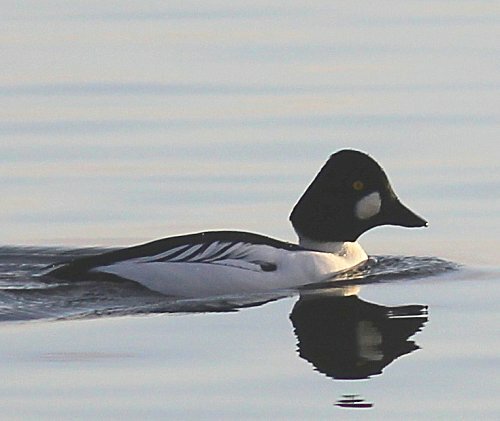 There were 18 Goldeneye at Lough Bunny. 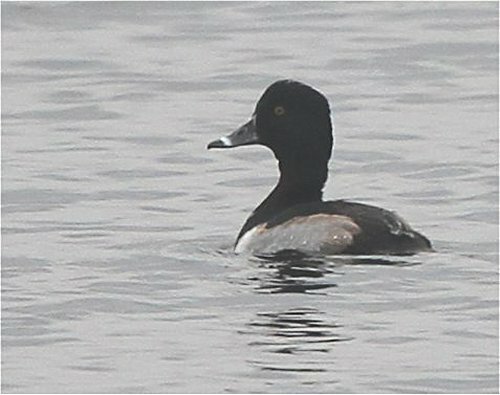 A drake Ring-necked Duck was at Lough Inchiquin (Dave McNamara). 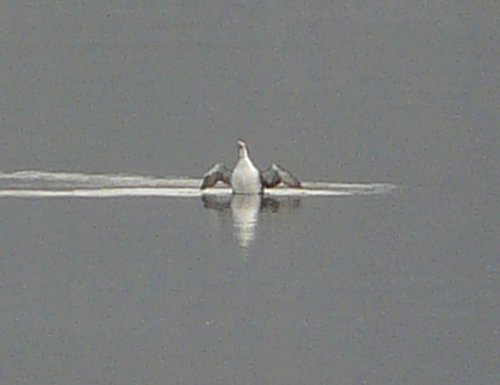 Three Black-throated Divers were off Aughinish. A male Hen Harrier was at Lough Atedaun. There were 14 Pintail at Lough Muchanagh. A flock of 25 Whooper Swans were at Lough Cullaun, the Burren. Six Greylag Geese flew east over Applewood, Ballycar.